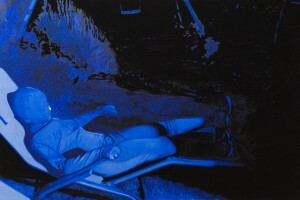 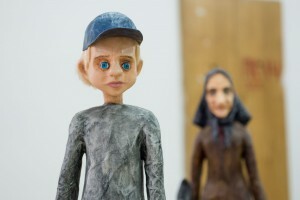 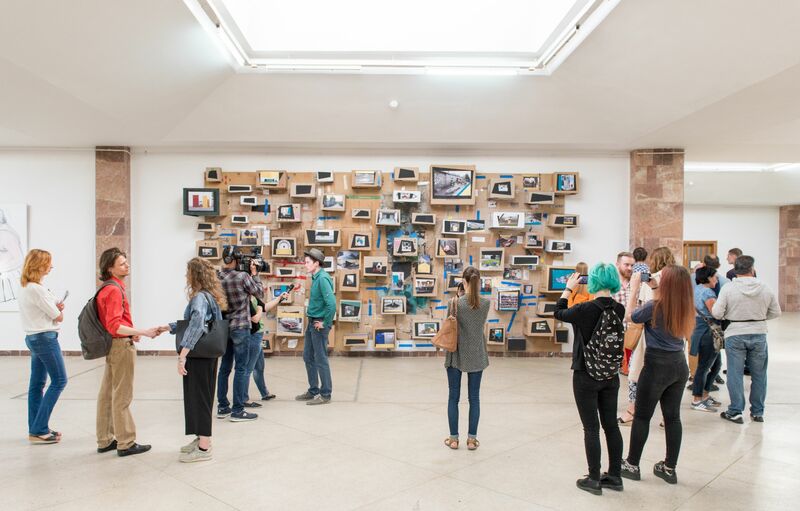 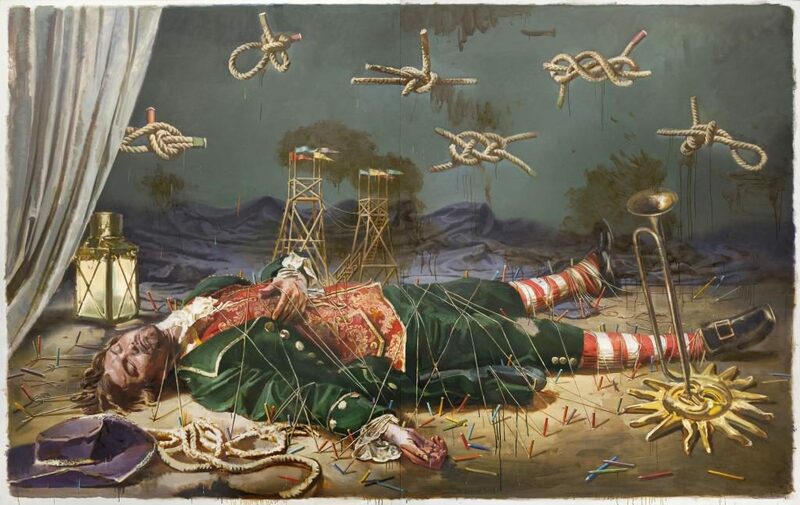 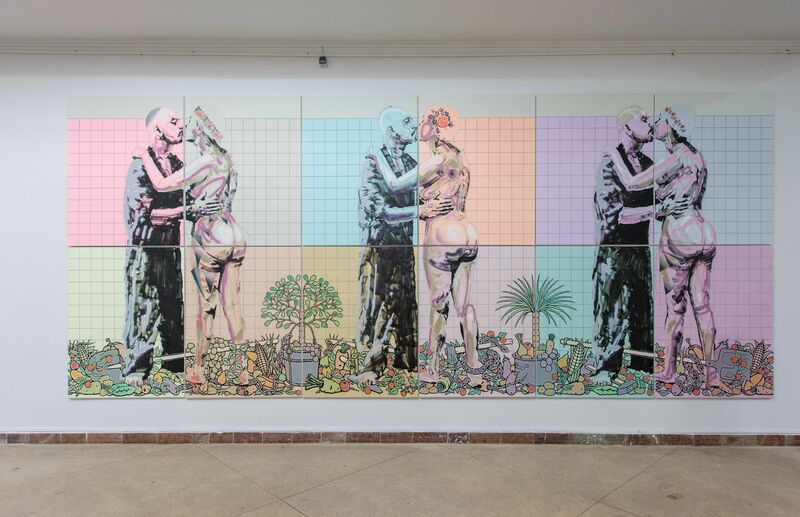 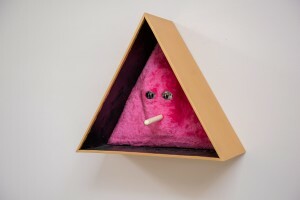 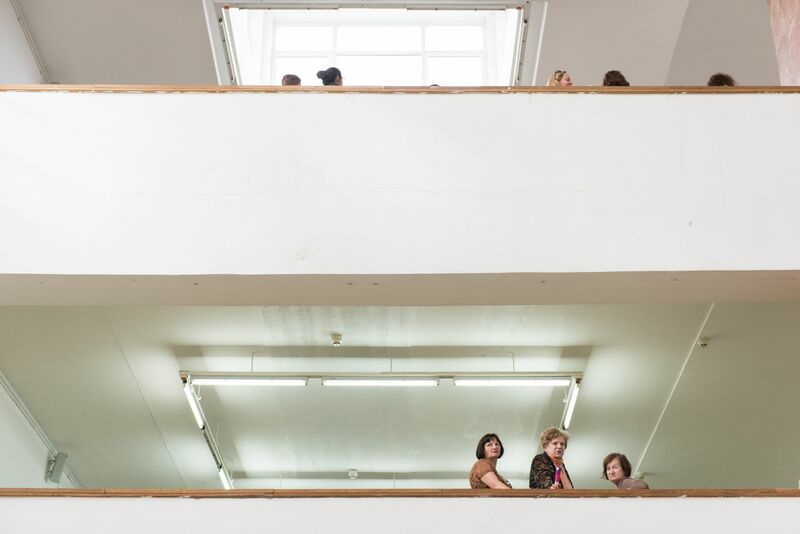 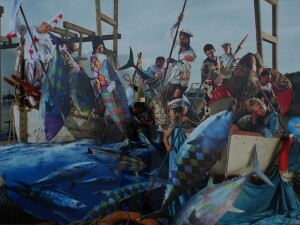 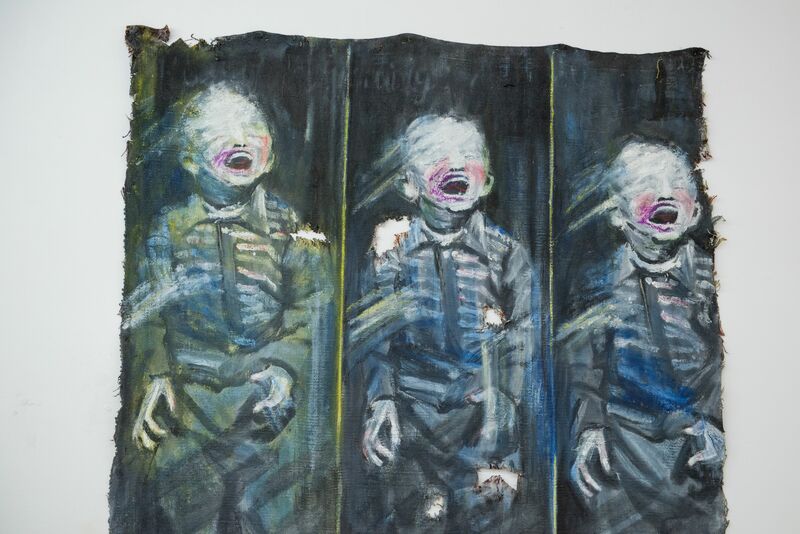 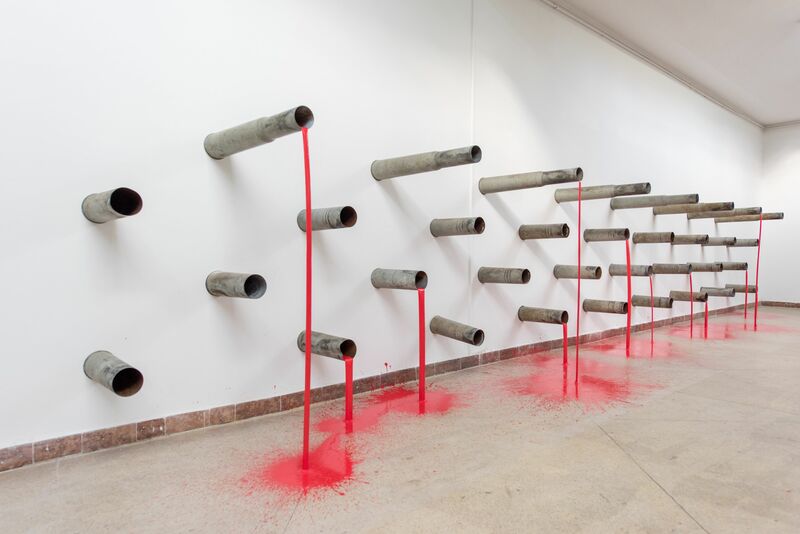 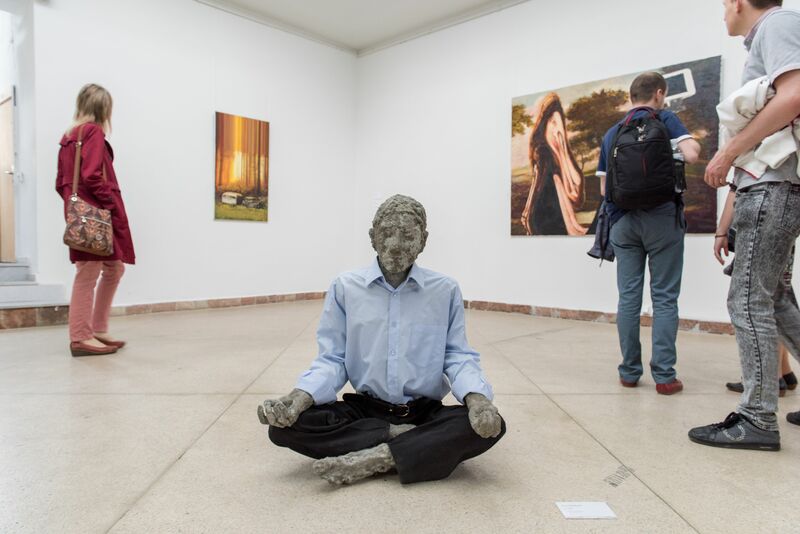 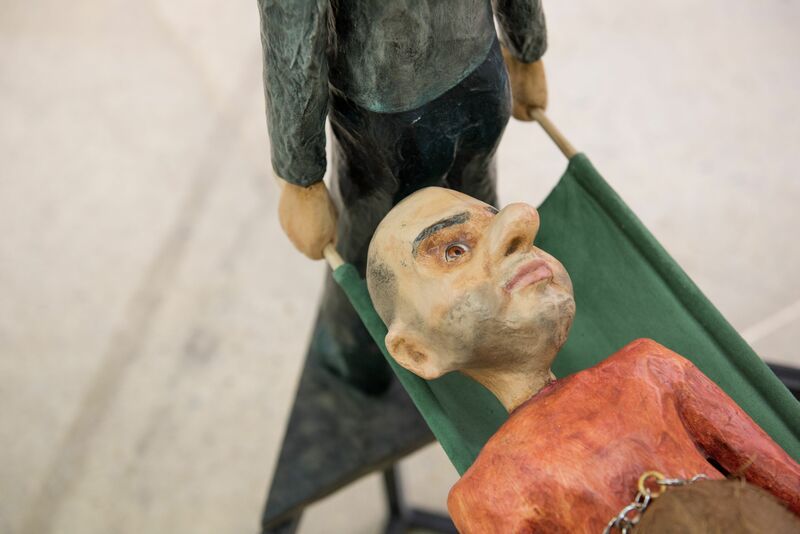 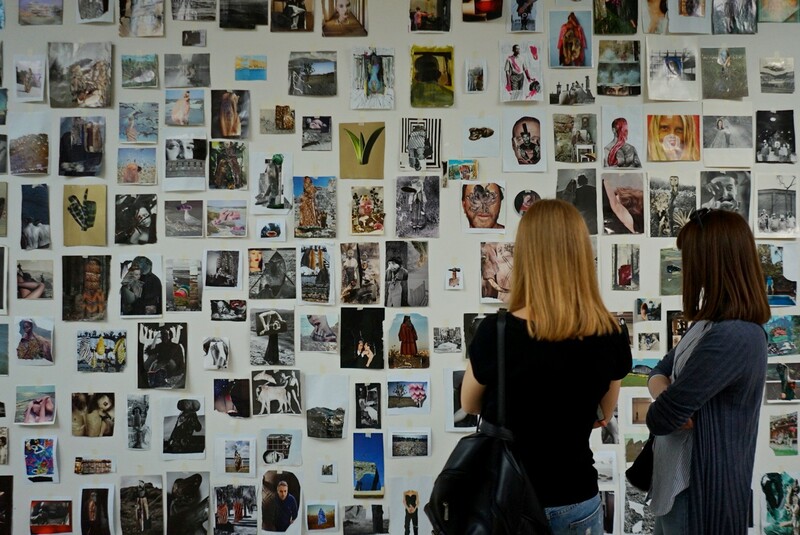 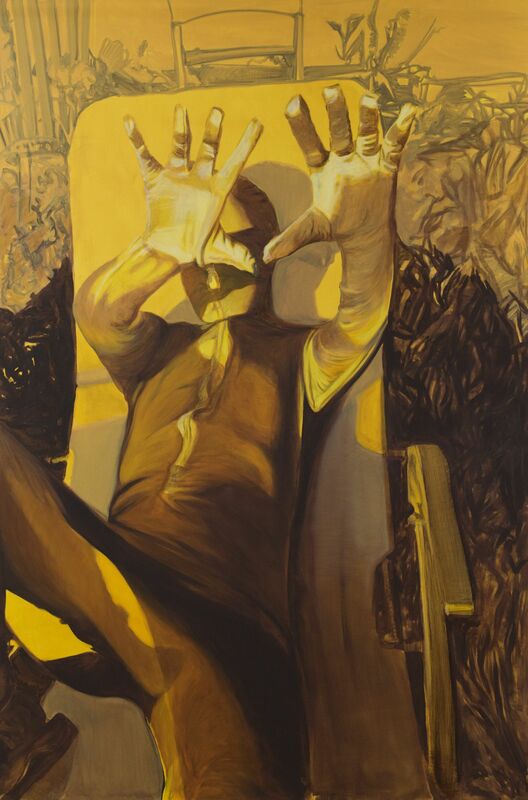 The grandiose project of Ukrainian contemporary art Show Promise aimed to make an attempt to understand, to comprehend through the prism of art a fine line between illusion and the real world. 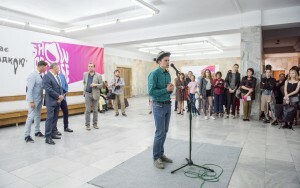 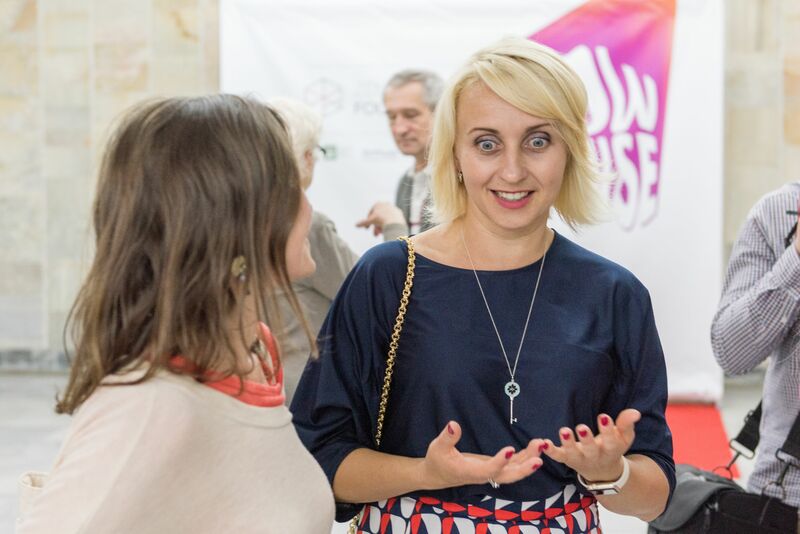 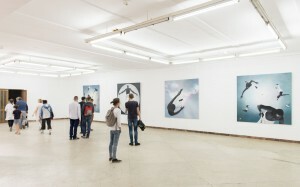 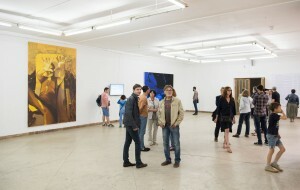 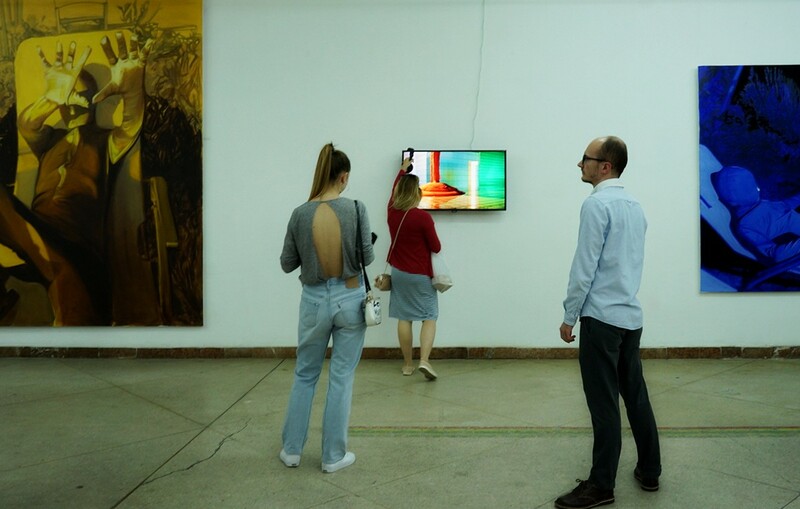 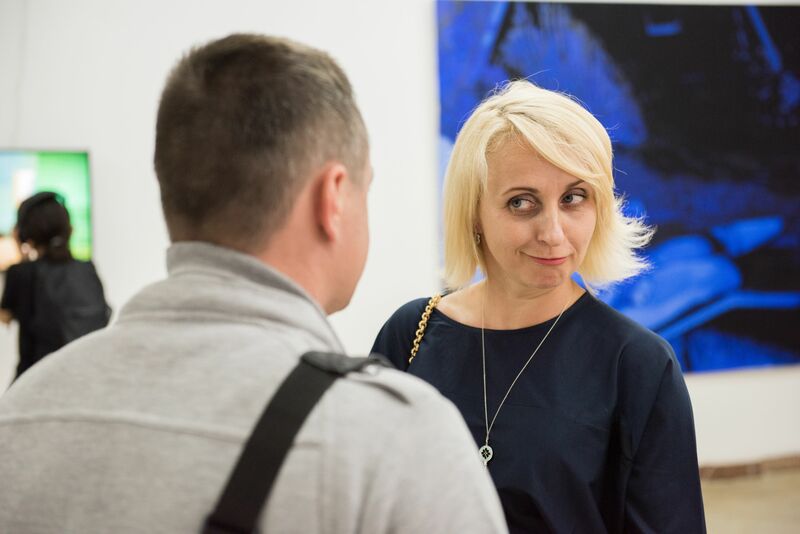 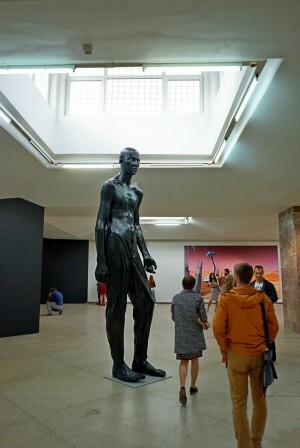 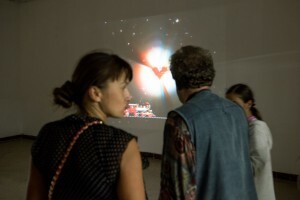 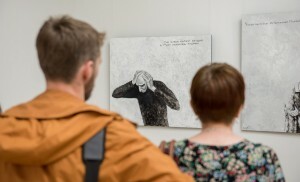 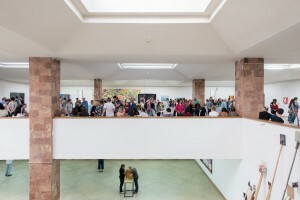 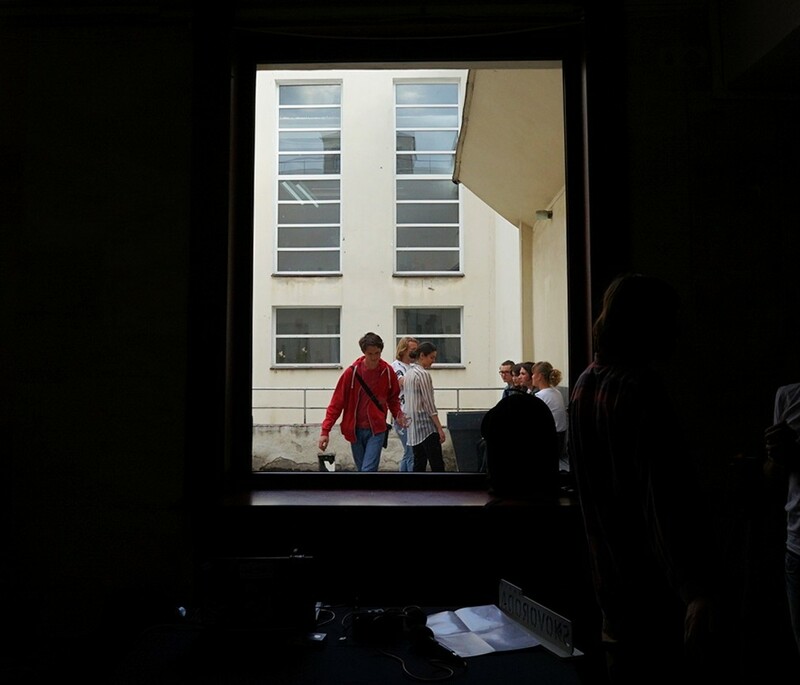 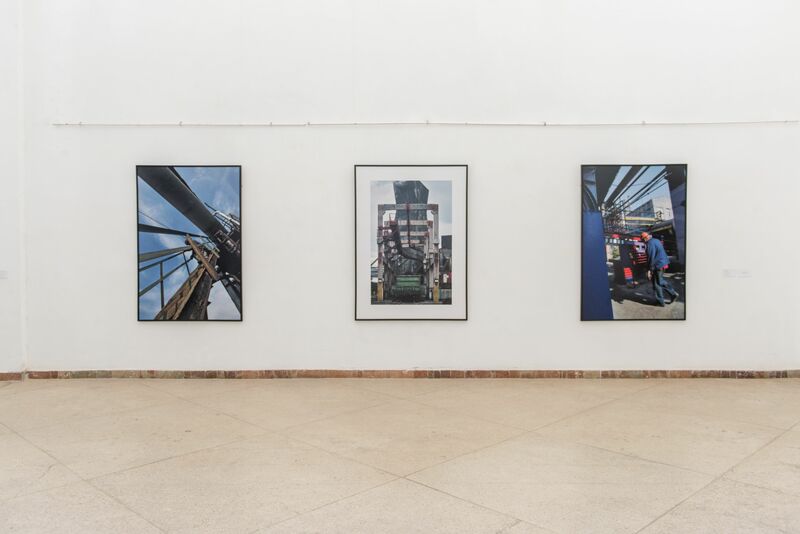 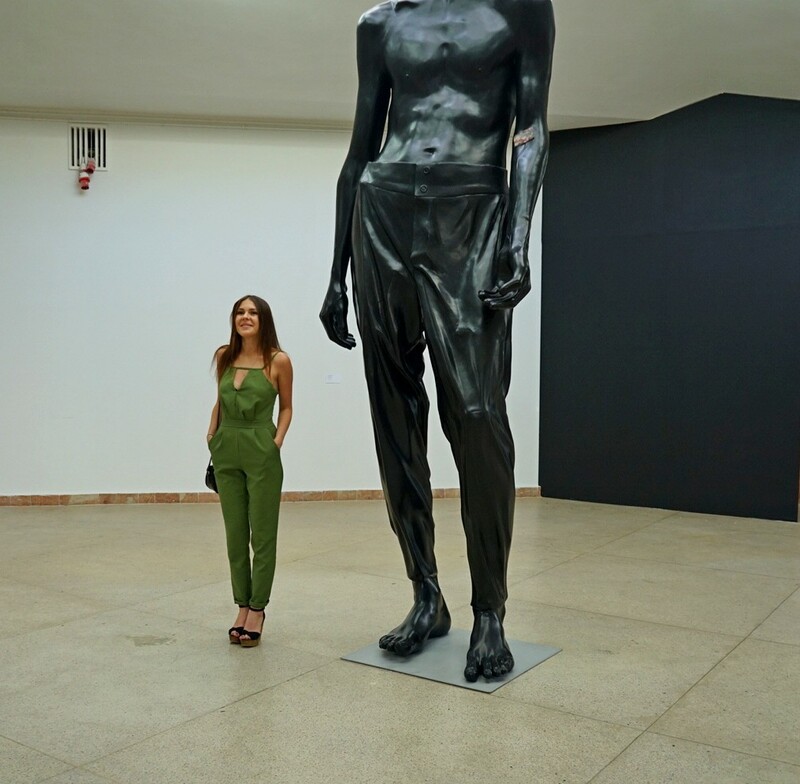 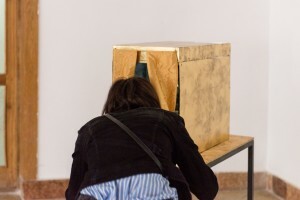 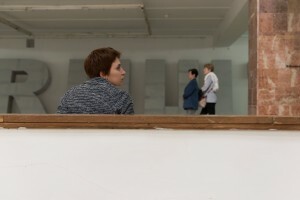 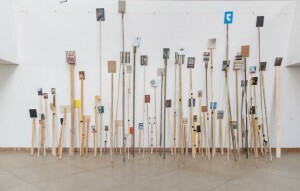 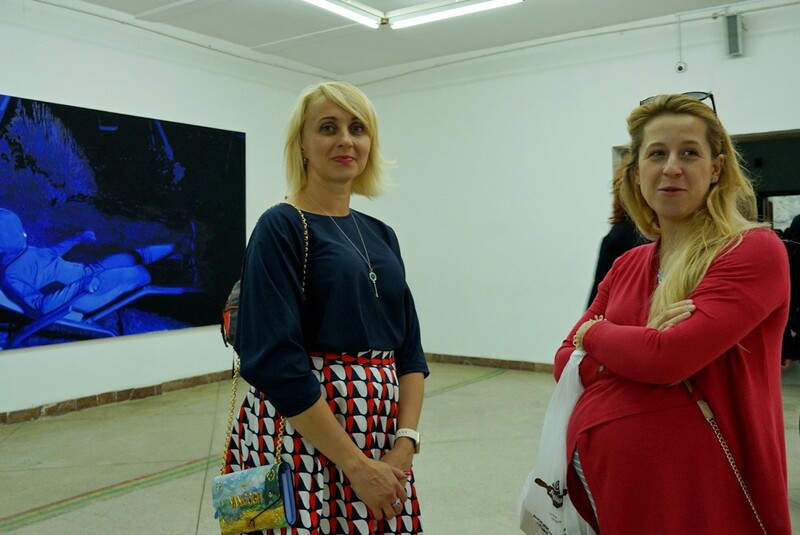 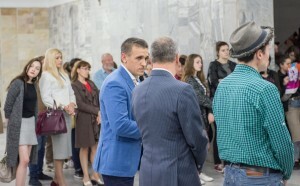 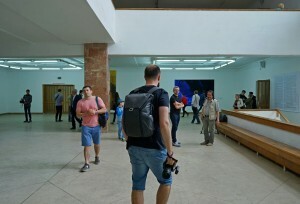 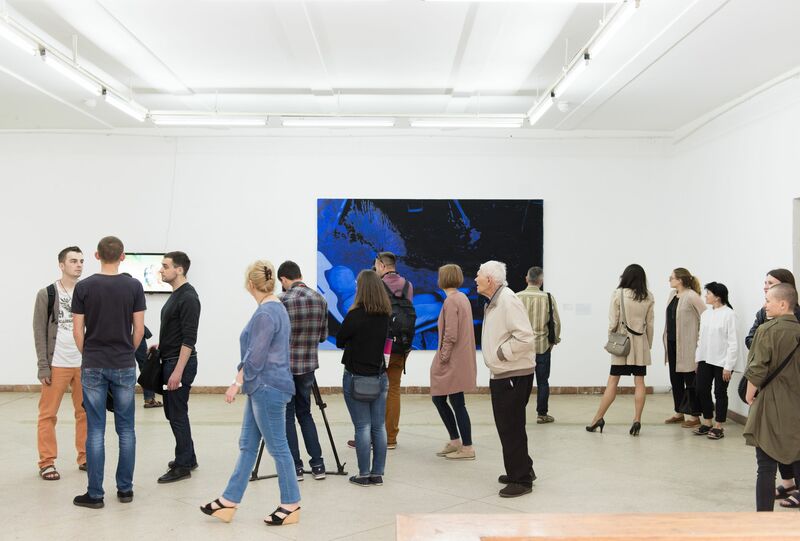 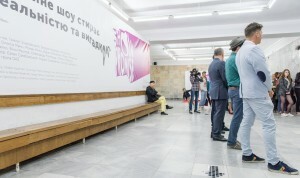 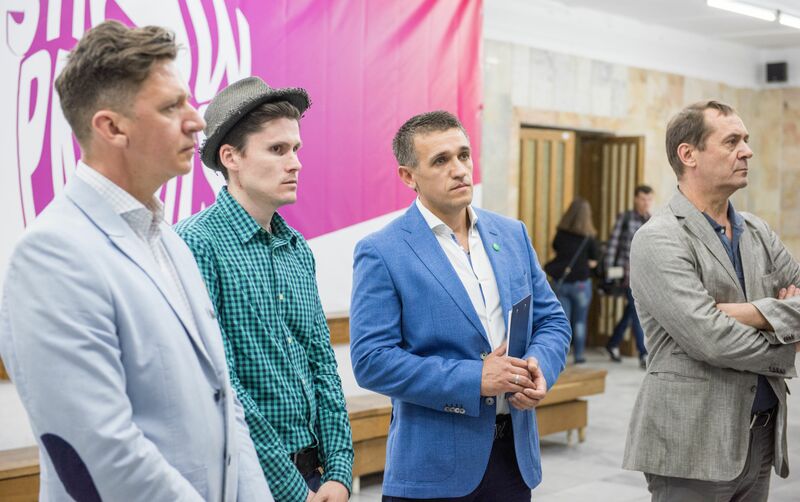 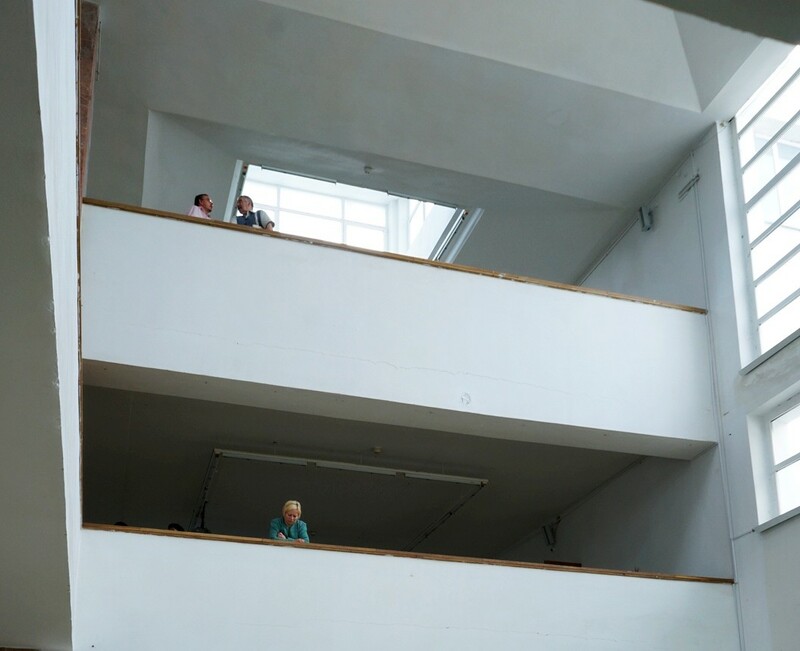 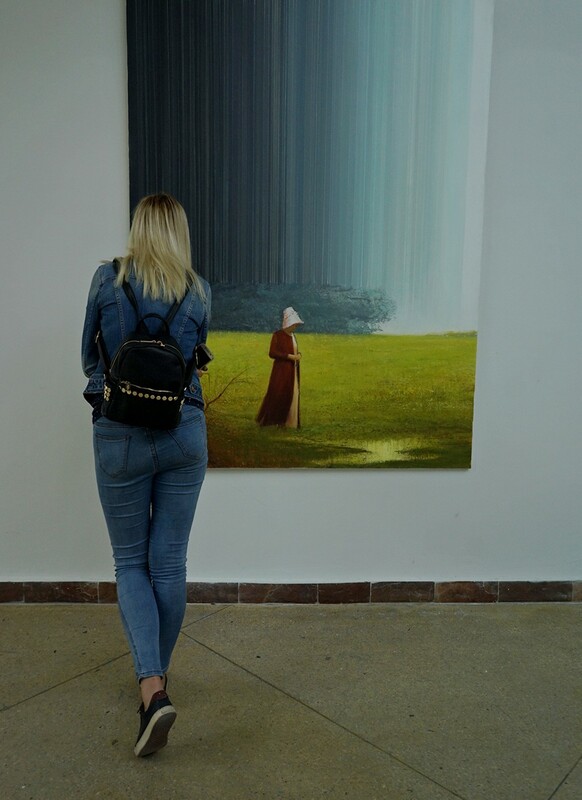 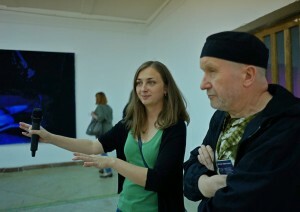 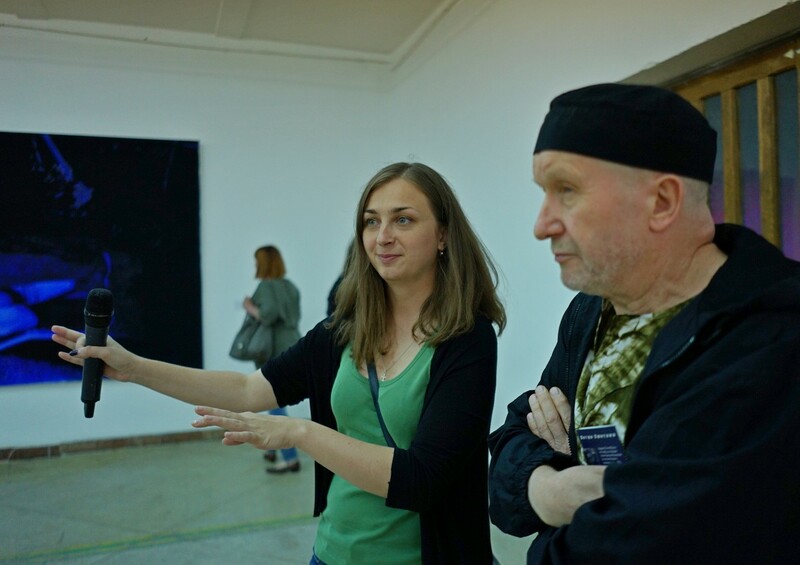 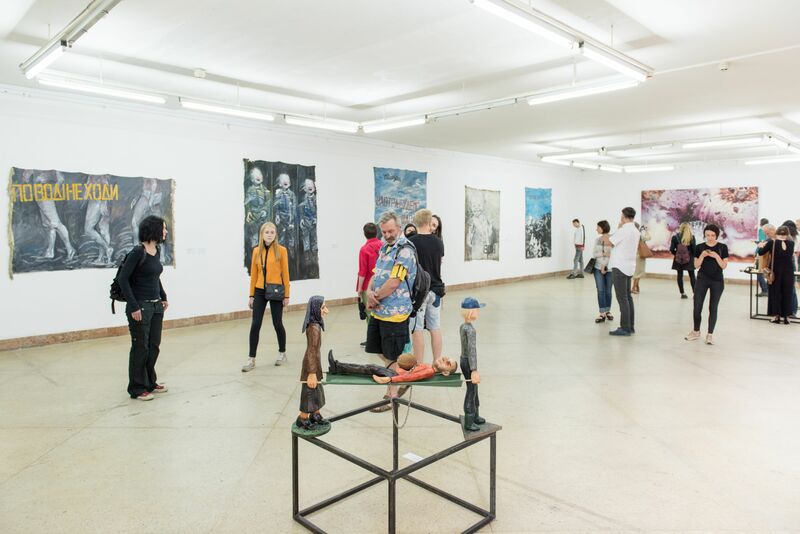 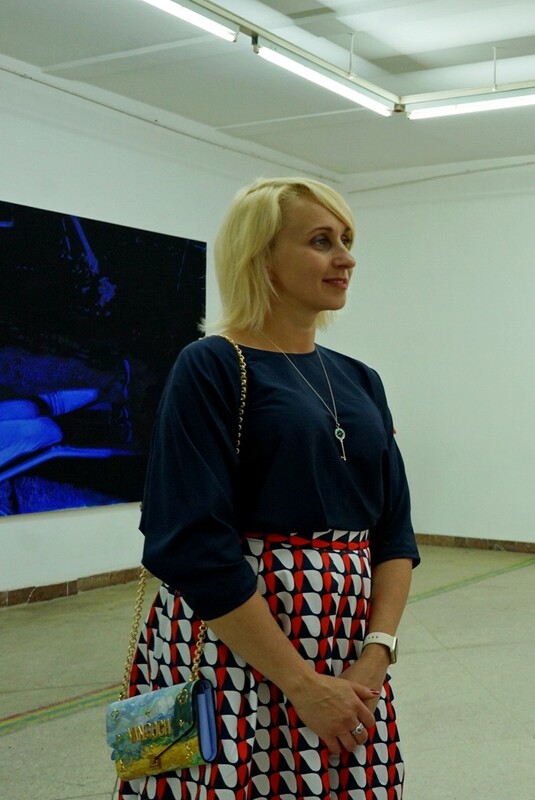 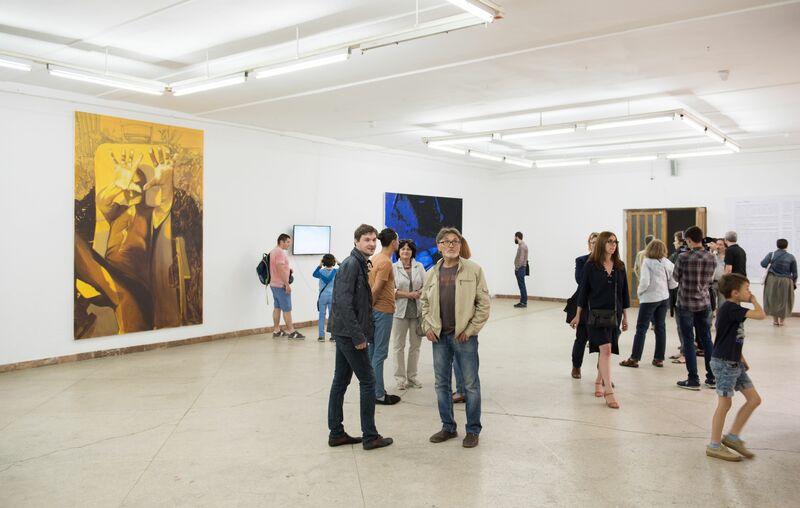 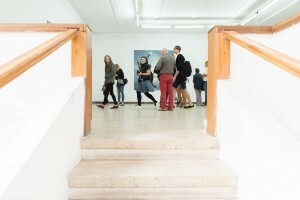 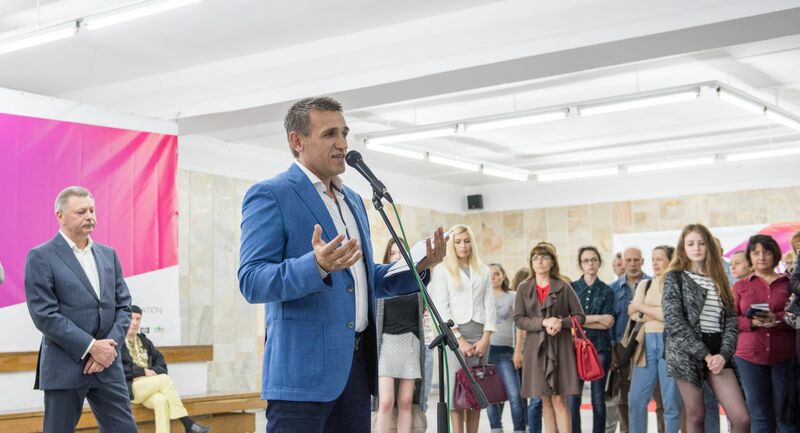 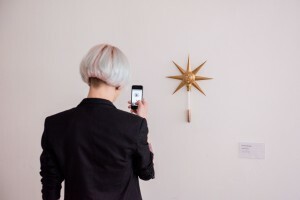 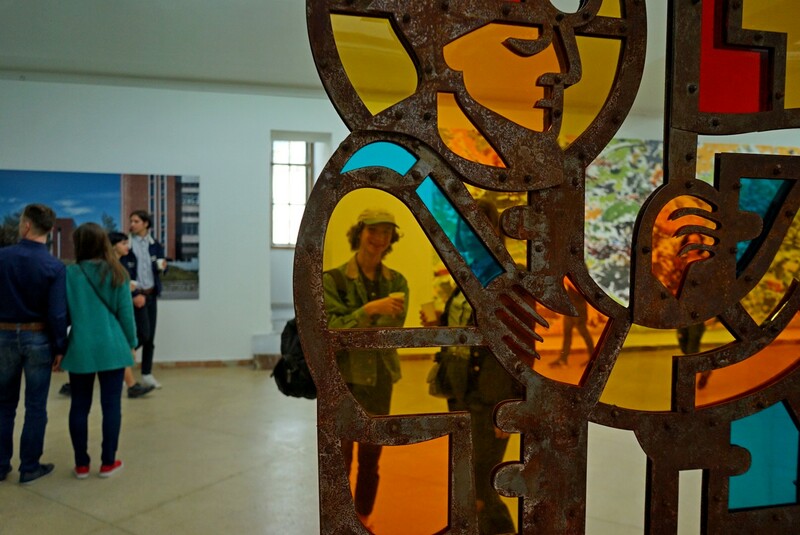 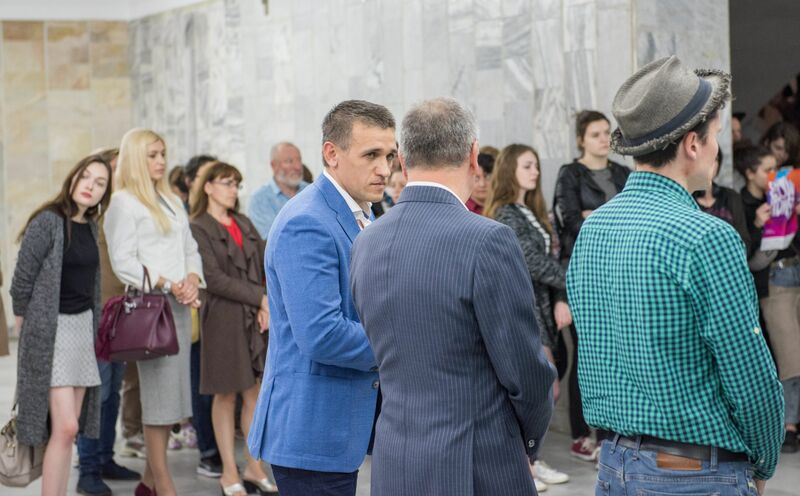 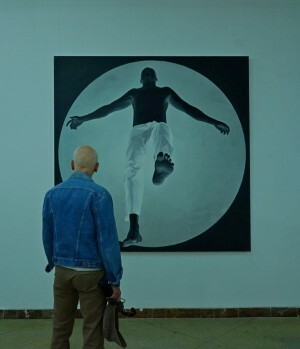 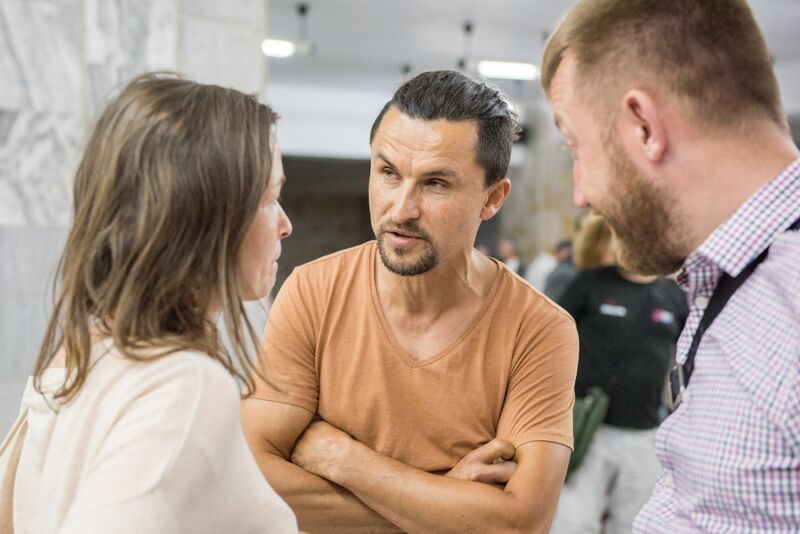 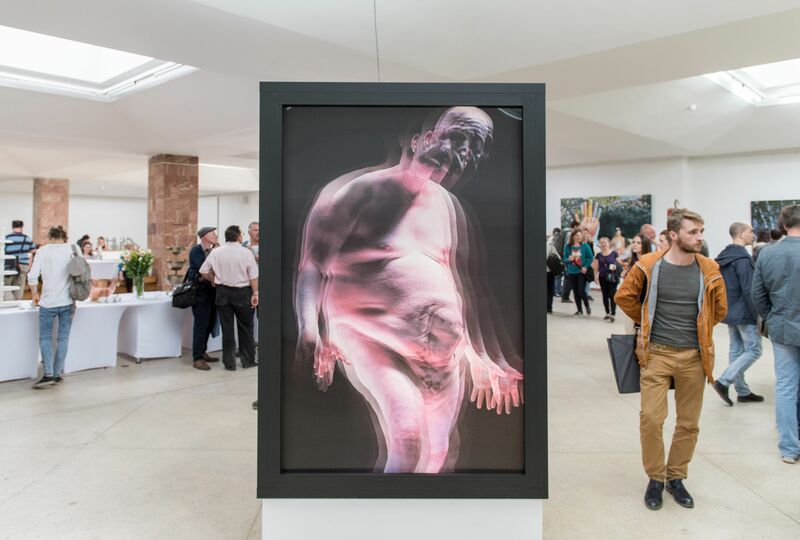 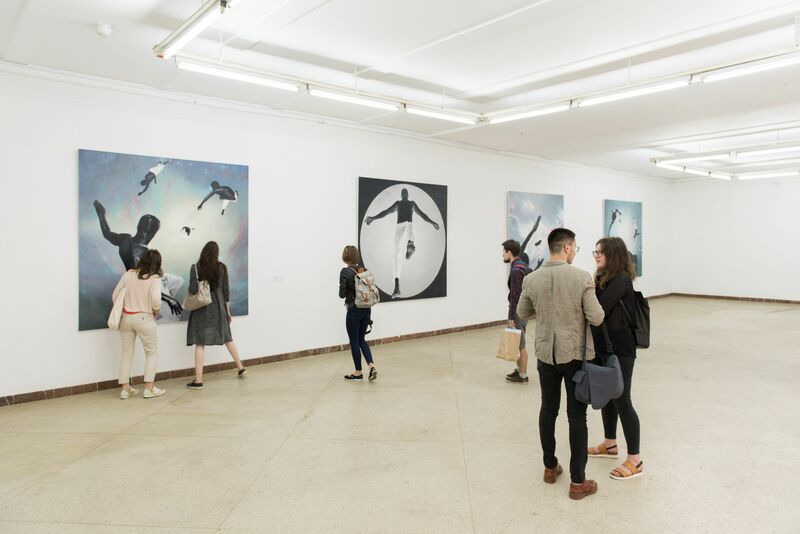 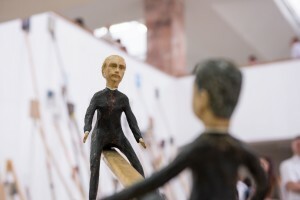 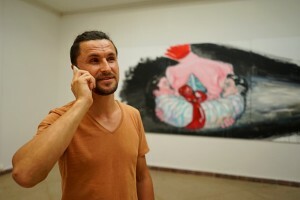 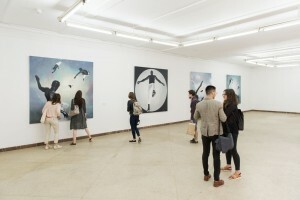 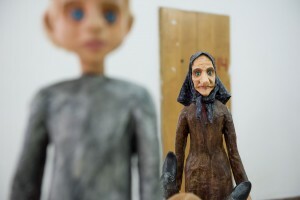 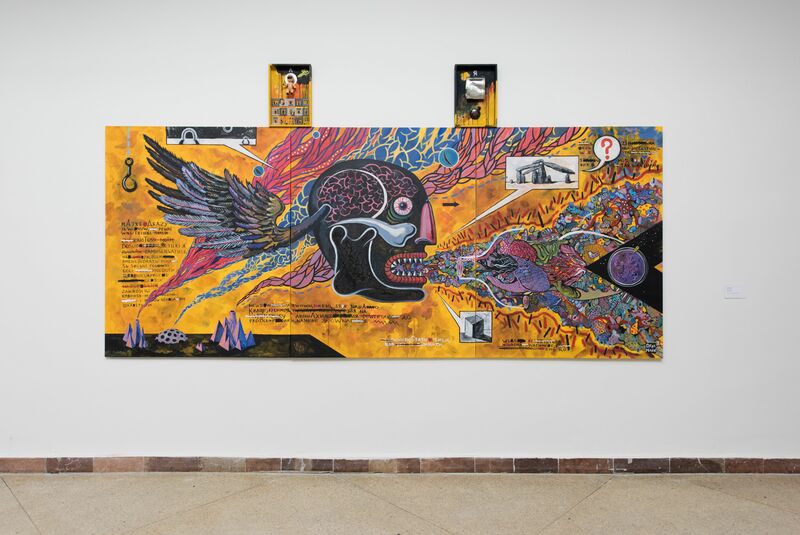 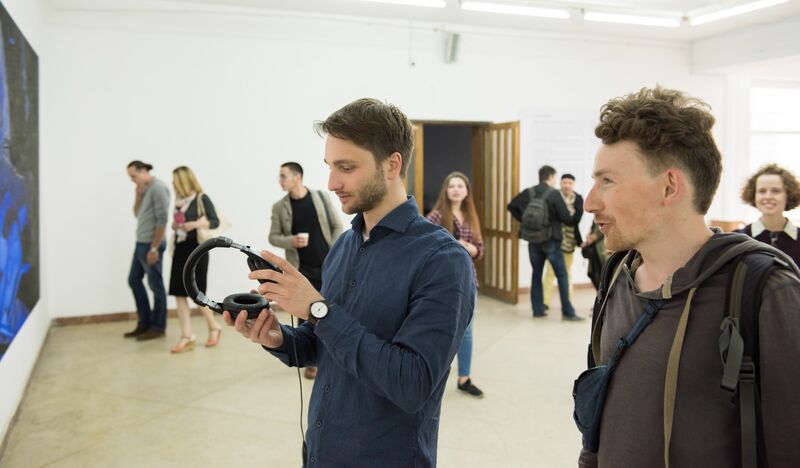 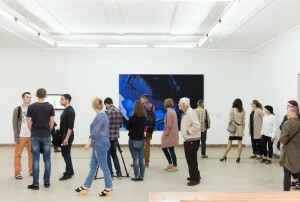 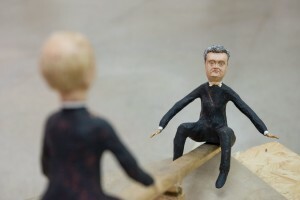 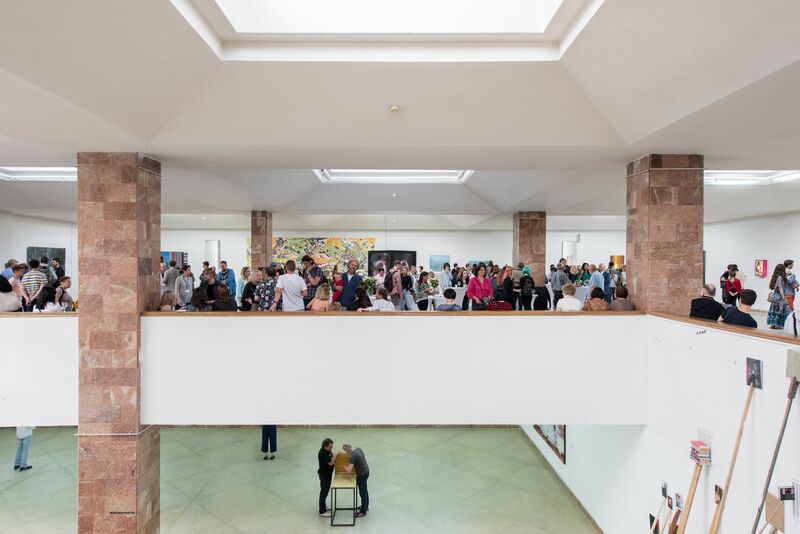 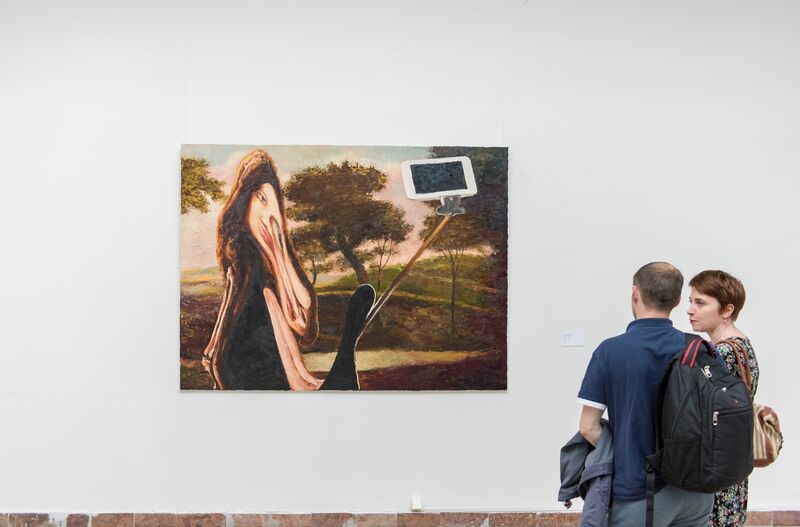 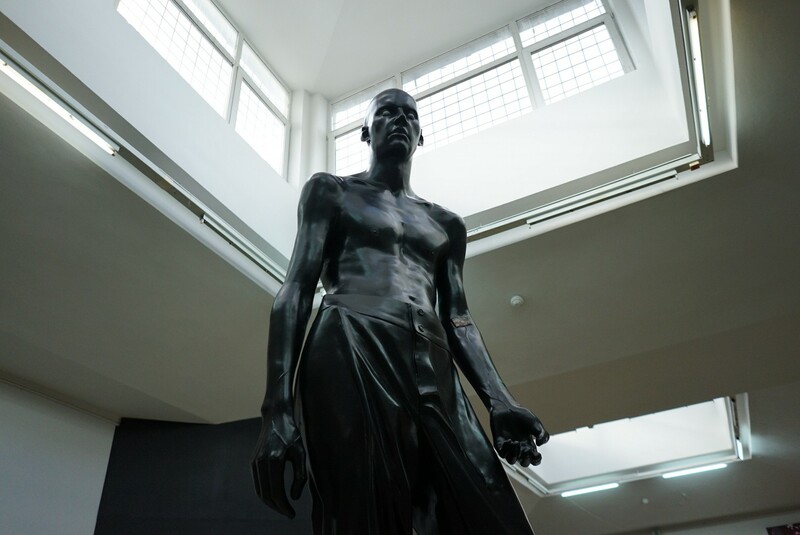 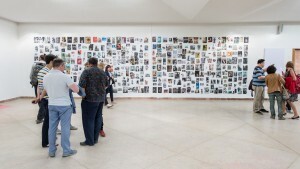 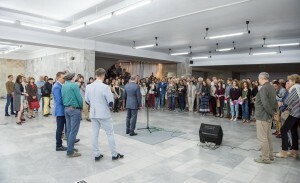 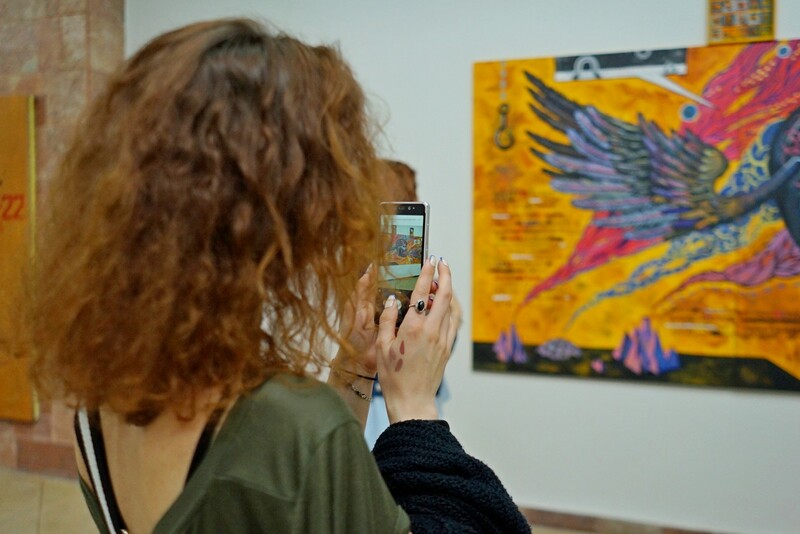 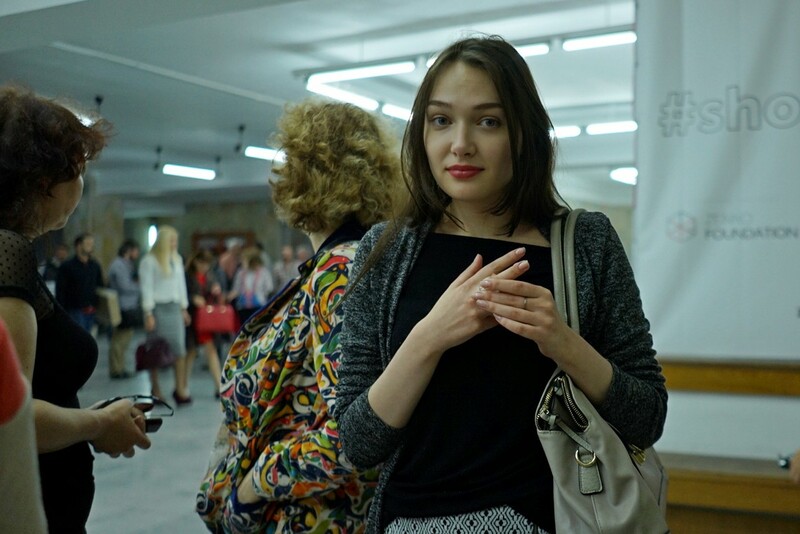 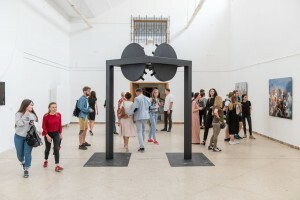 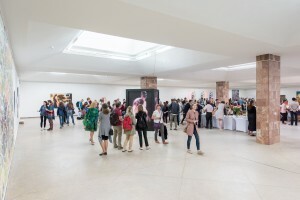 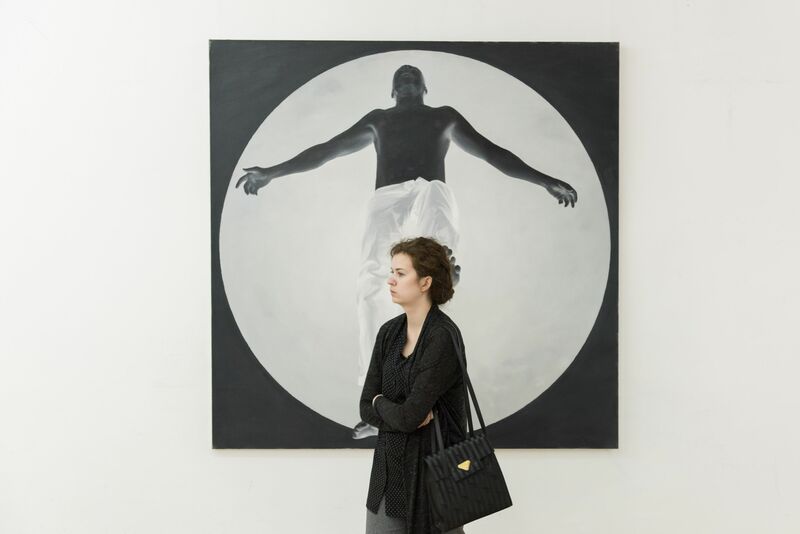 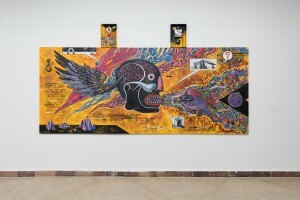 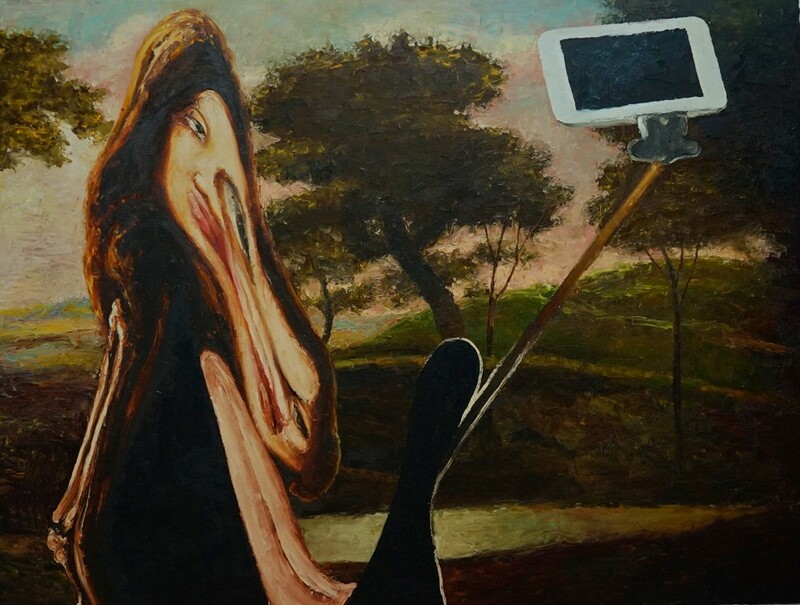 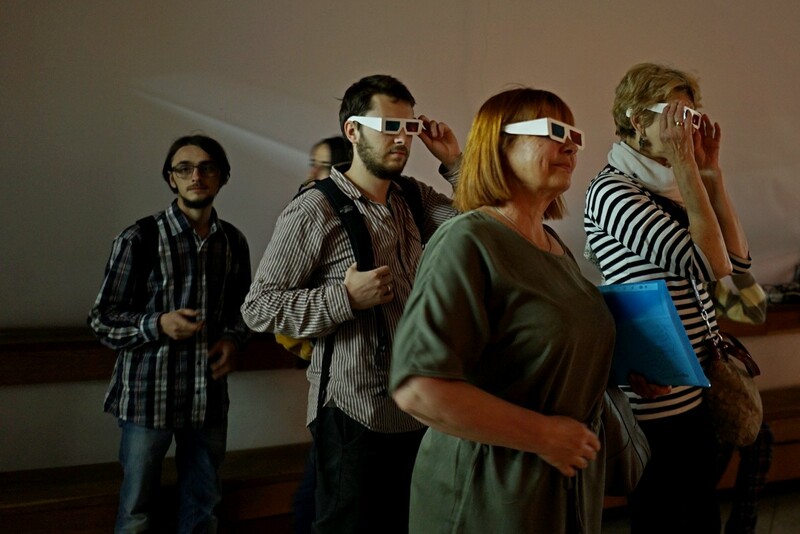 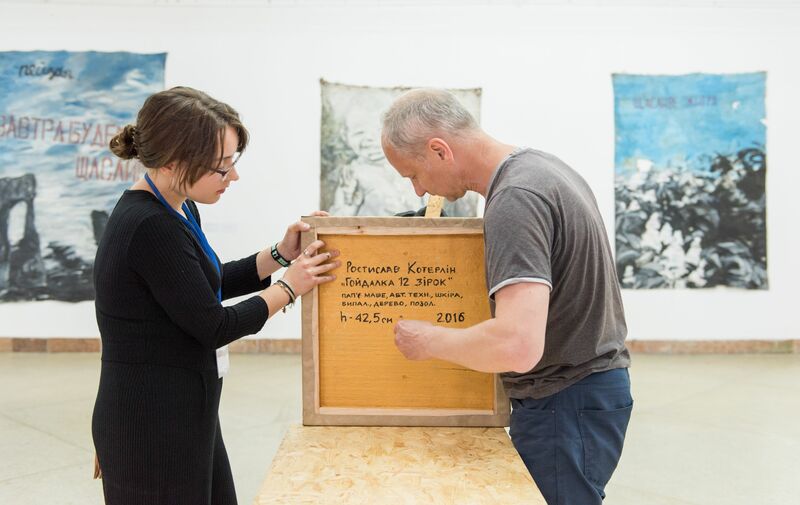 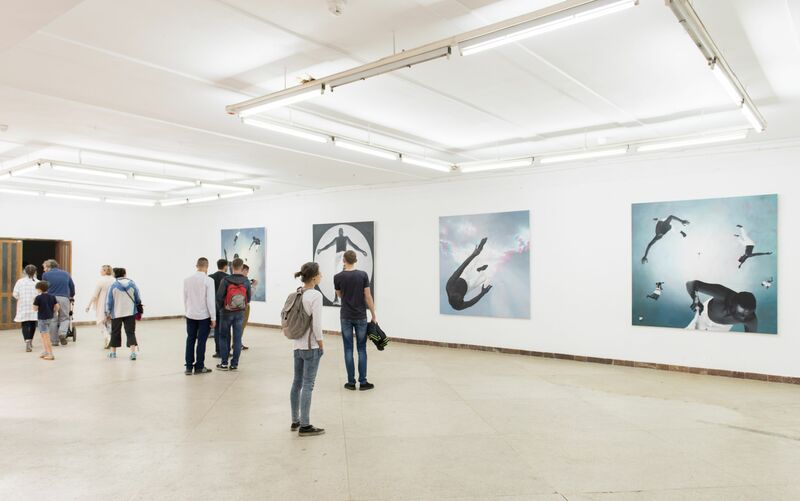 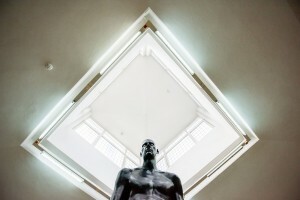 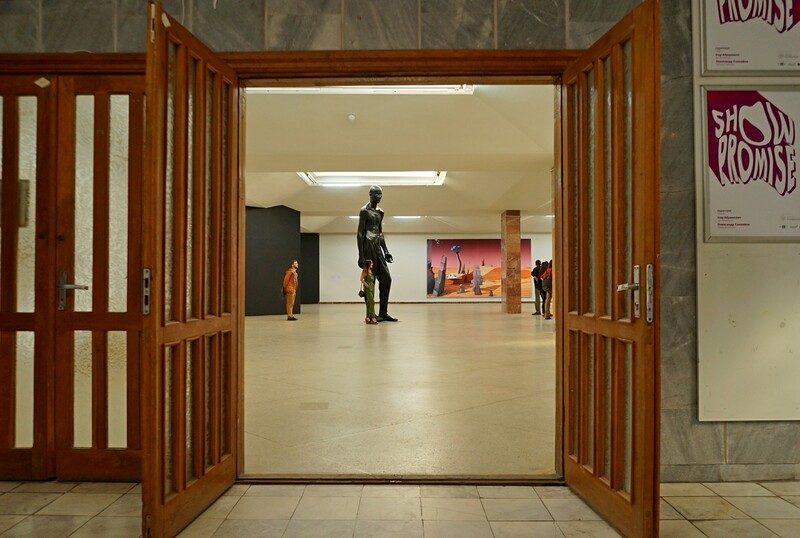 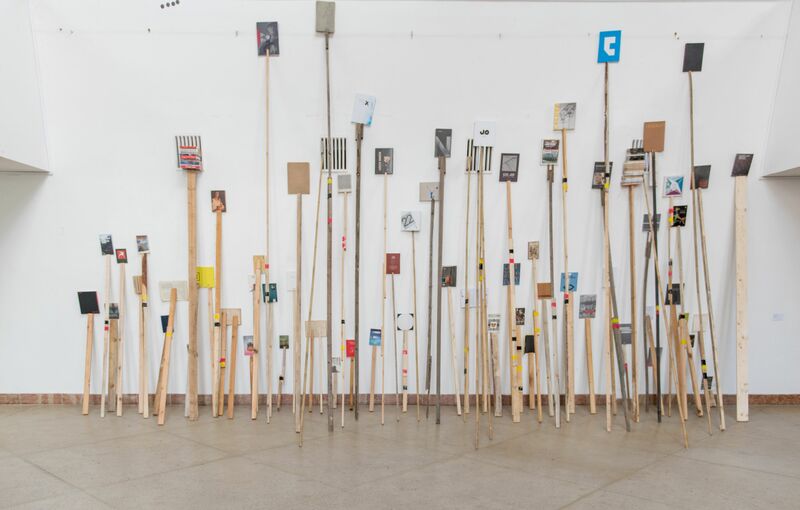 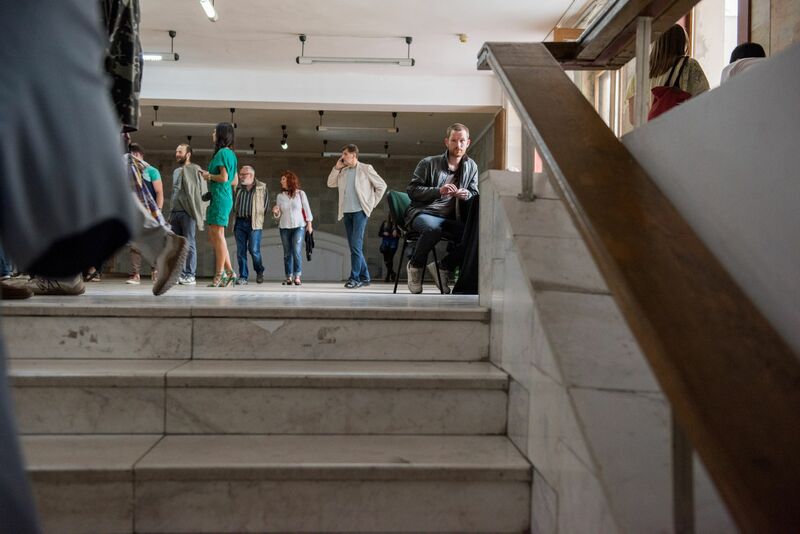 Exposition based on the concept of curators Igor Abramovych and Oleksandr Soloviov was opened on June 13 in the Lviv Palace of Arts and will last until July 16. 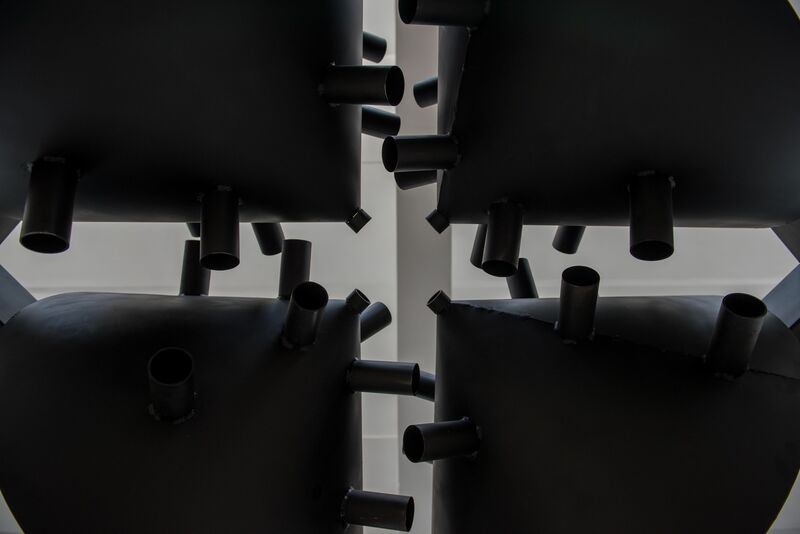 The project is presented on all three floors of the palace, and except the traditional paintings on canvas, there are video art, monumental sculptures and compositions made of various materials, digital painting, 3D graphics, concept photography, installations and the like. 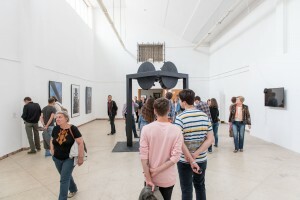 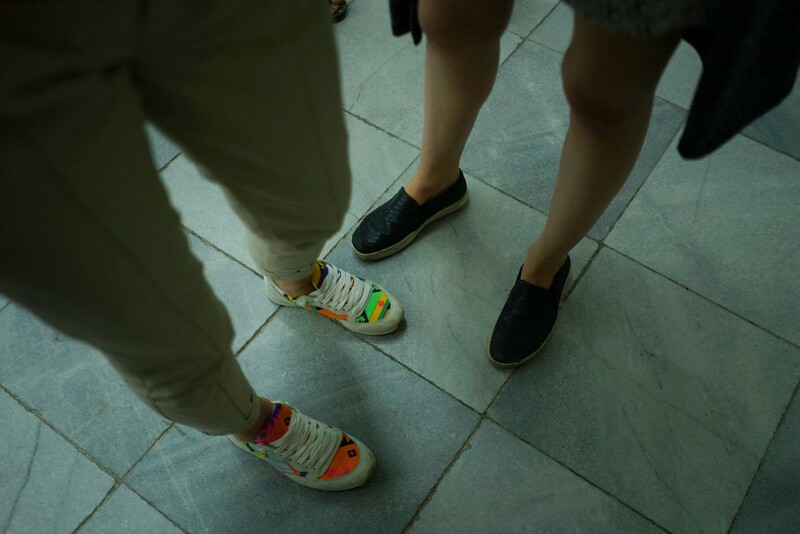 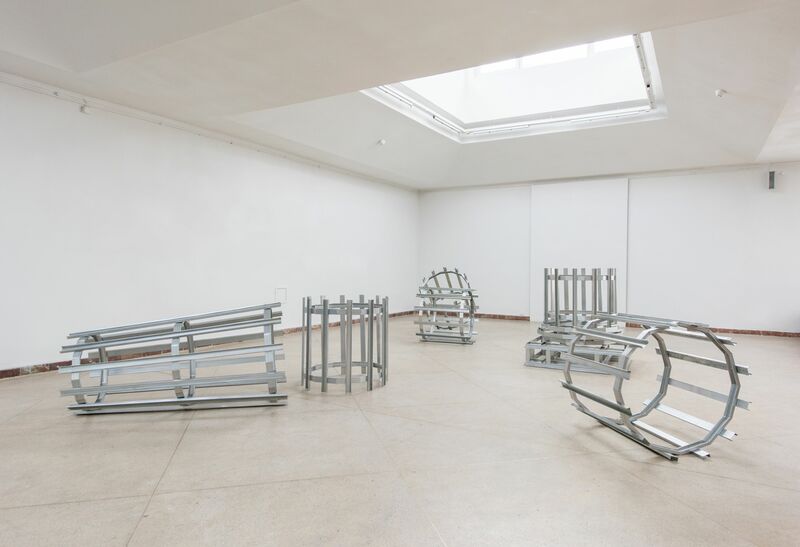 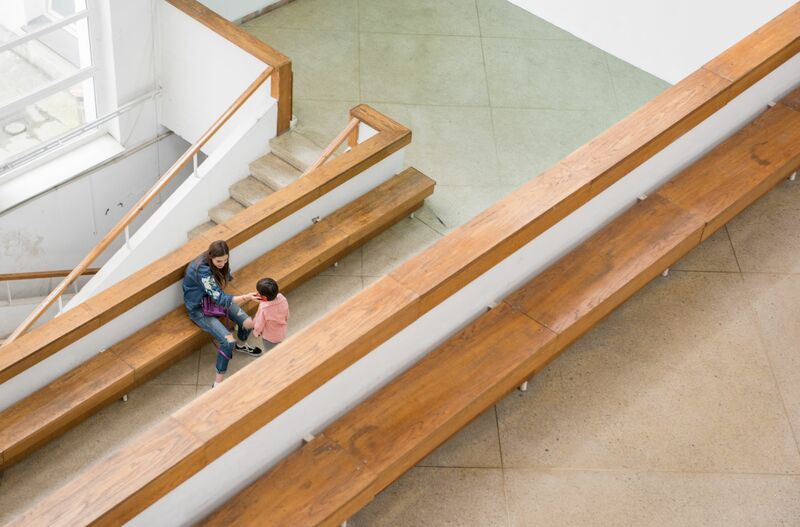 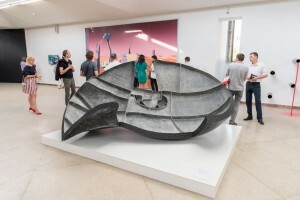 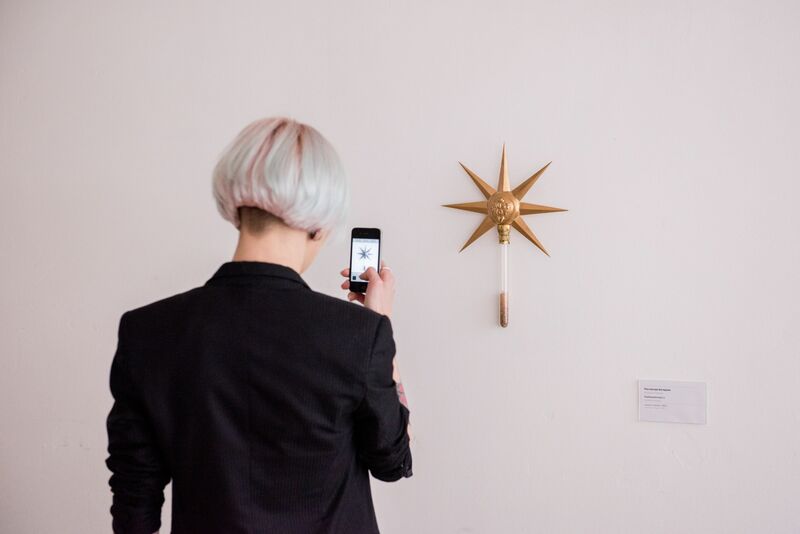 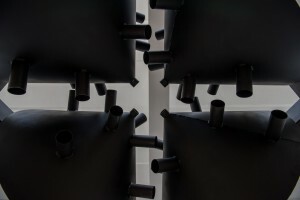 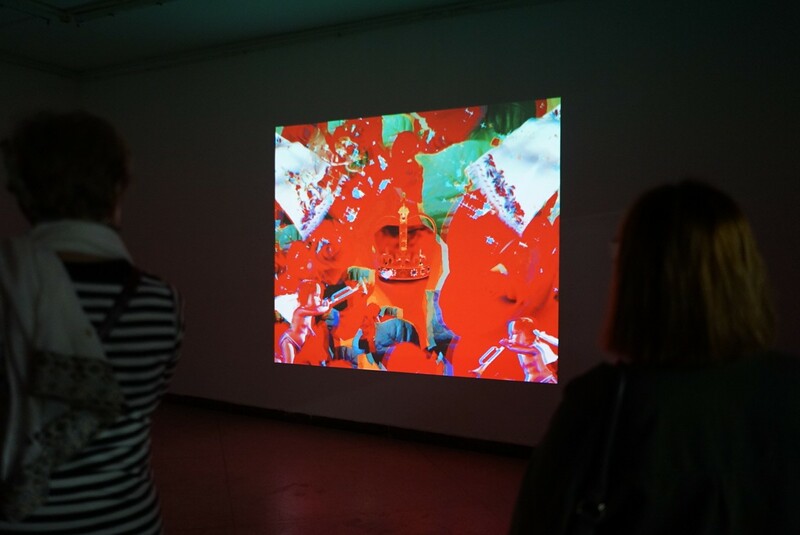 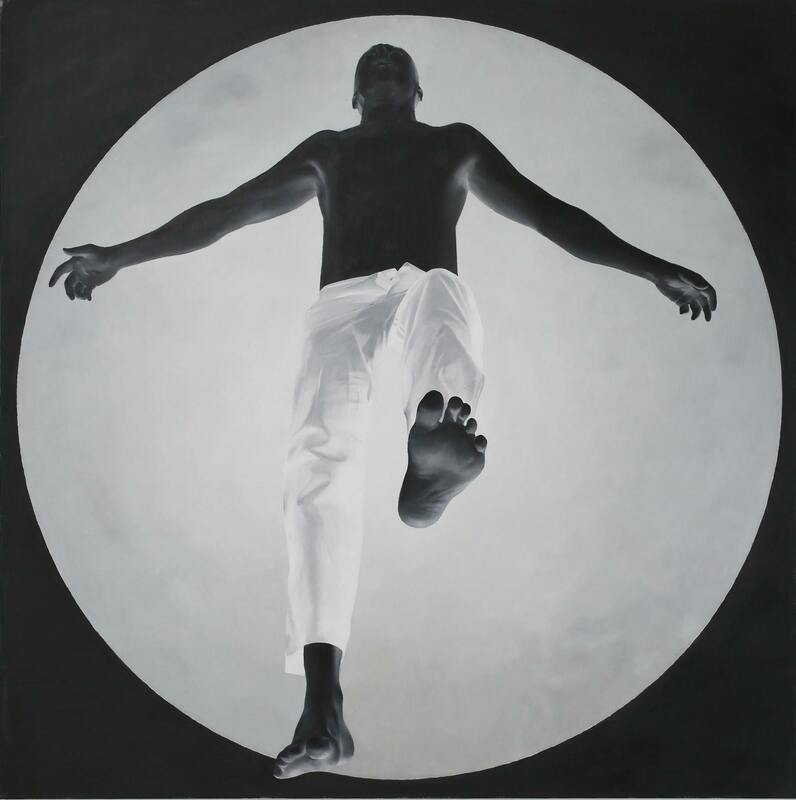 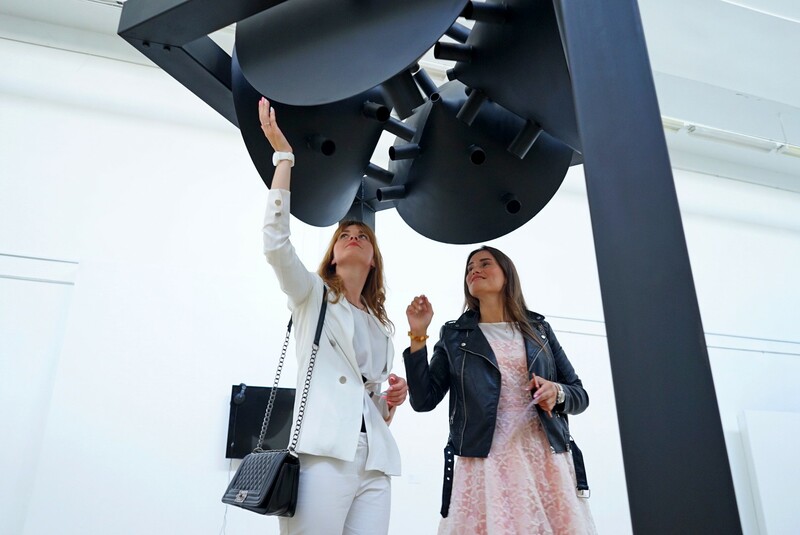 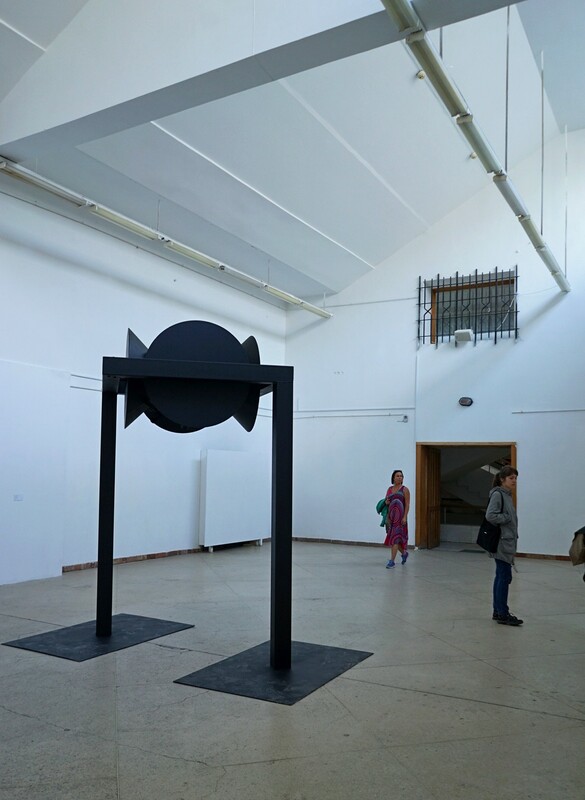 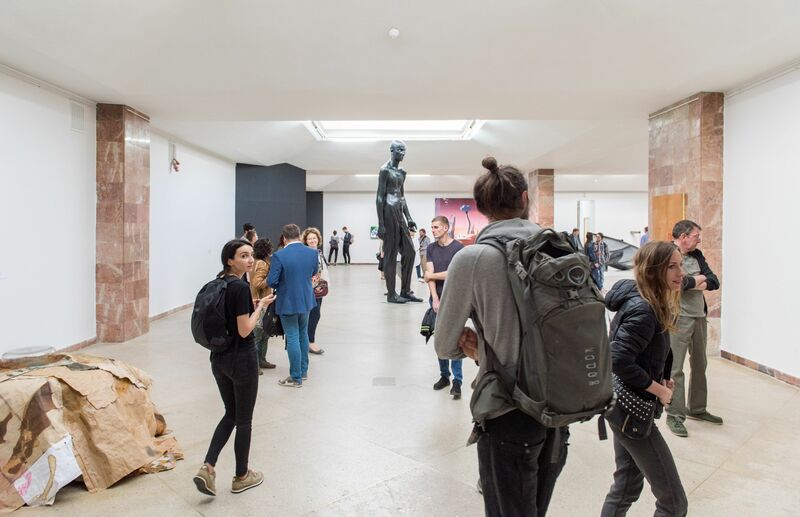 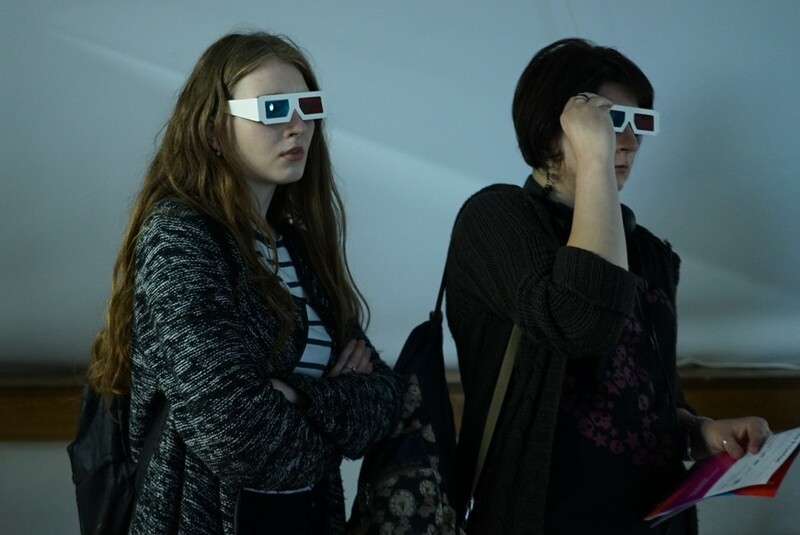 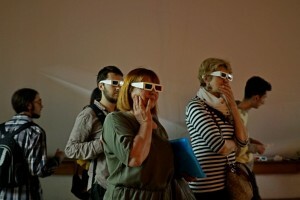 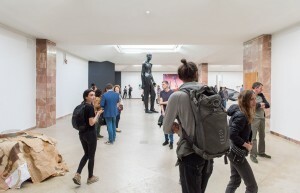 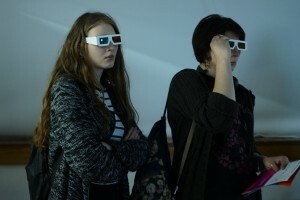 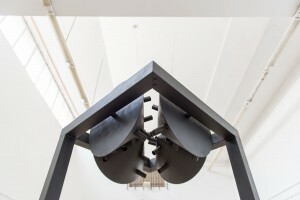 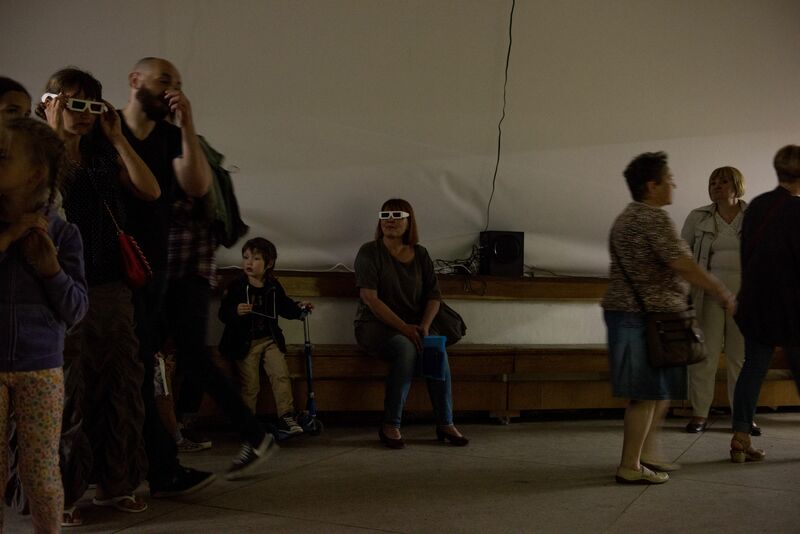 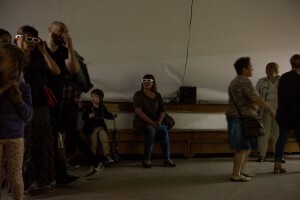 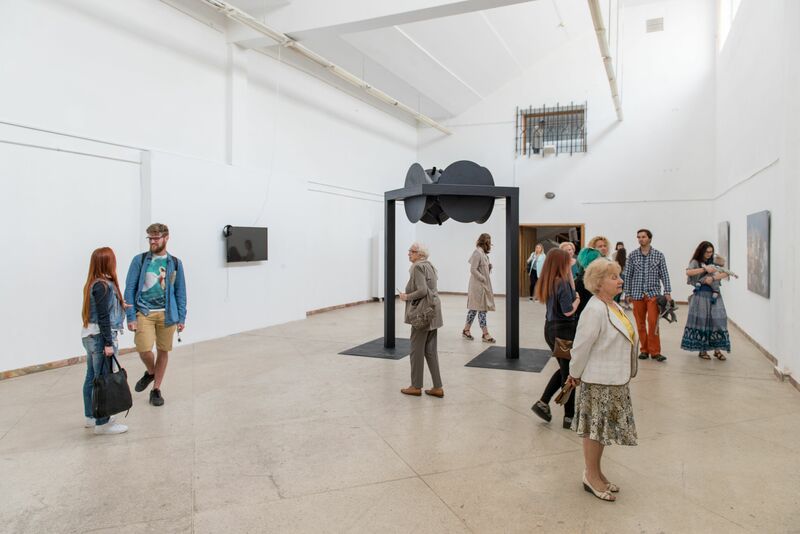 Thus, 35 artists tried to show the collisions and hopes of the modern world through visual means of art, and the numerous spectators who will come to the exposition will be able to appreciate how it became possible. 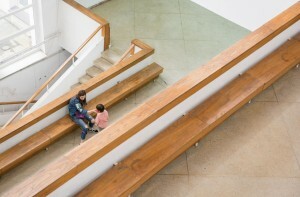 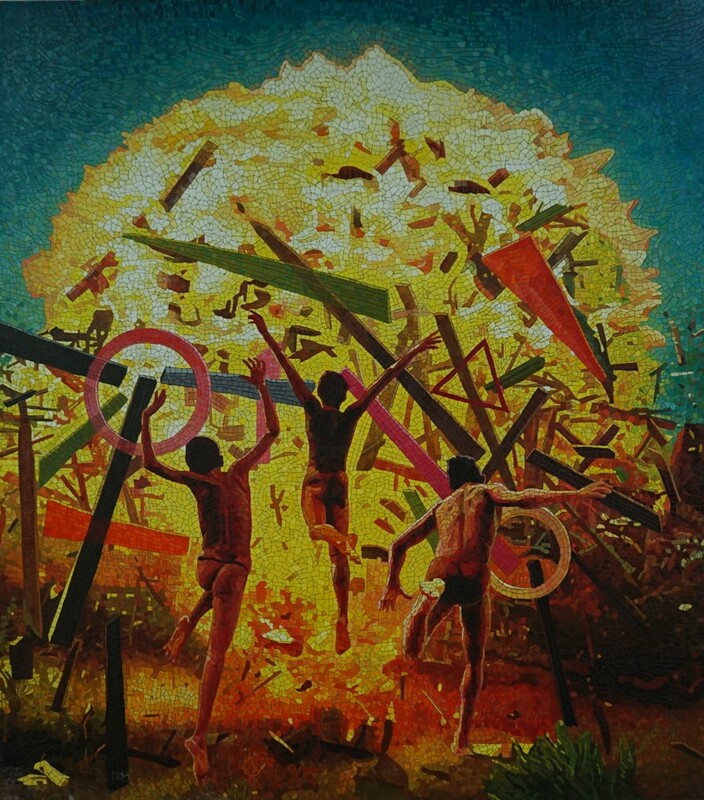 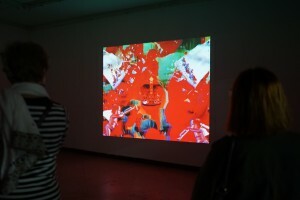 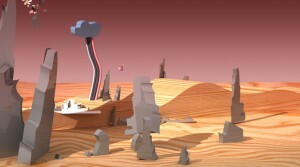 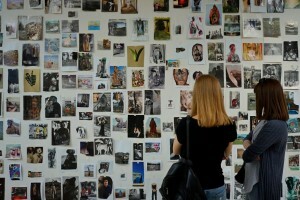 "Exhibition Show Promise, first of all, shows a lot of promise in the world of apocalypse, annexation, war, social networks. An artist, like no one else, sees it and passes it through reflexes in his works. 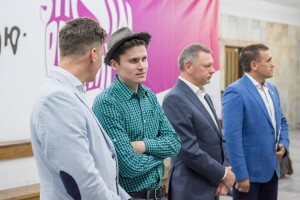 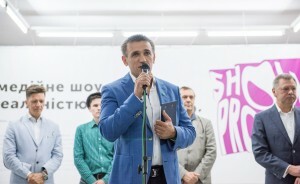 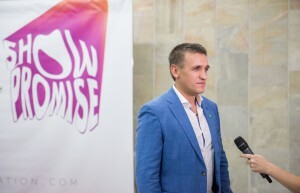 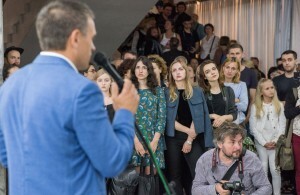 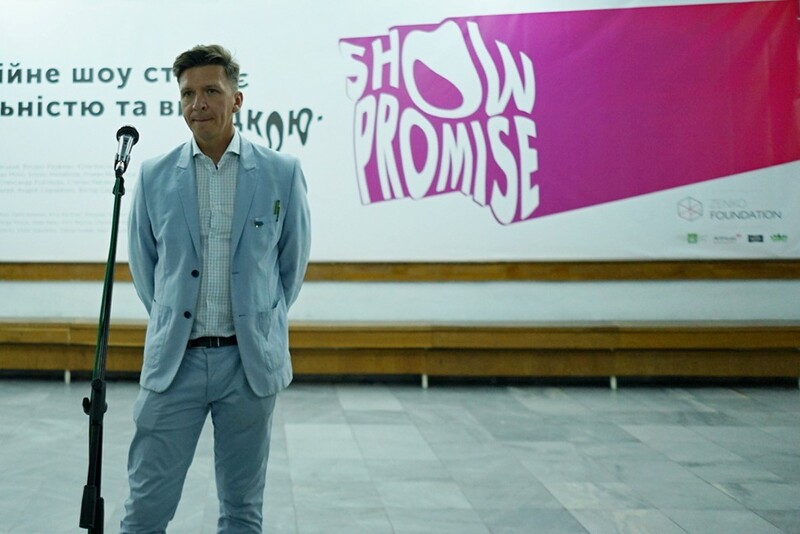 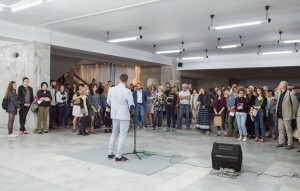 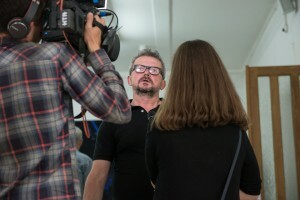 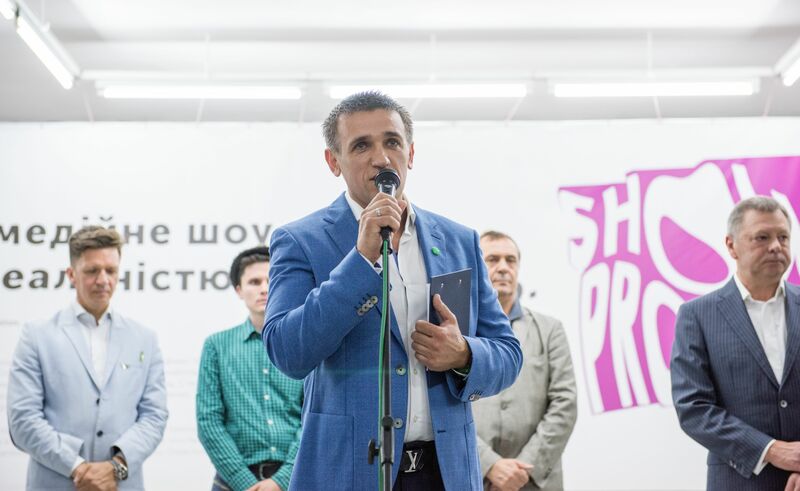 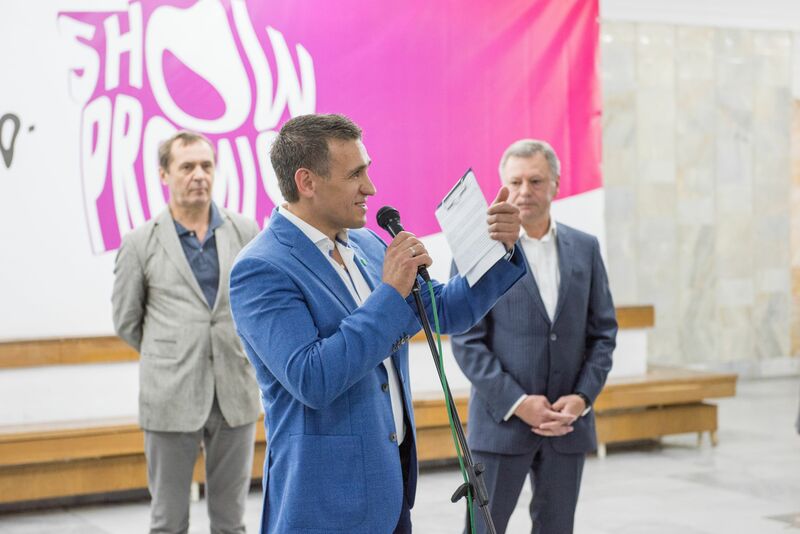 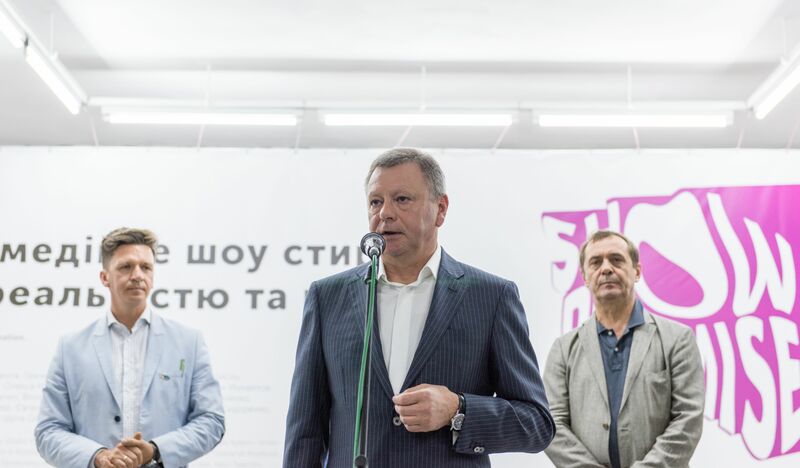 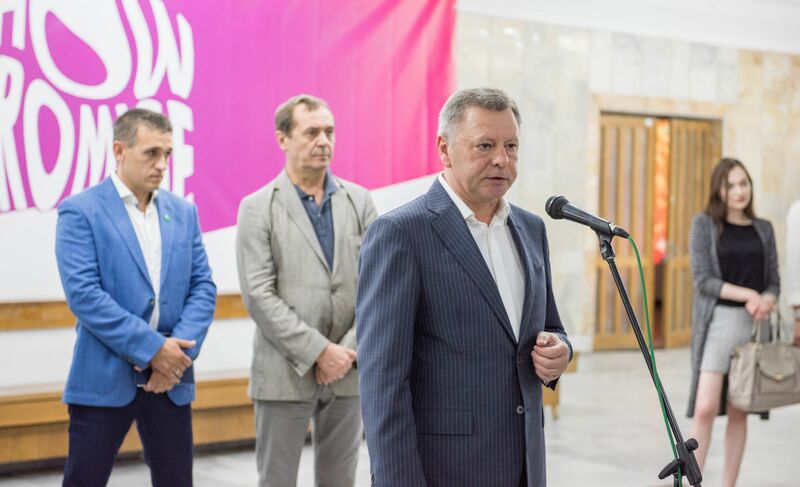 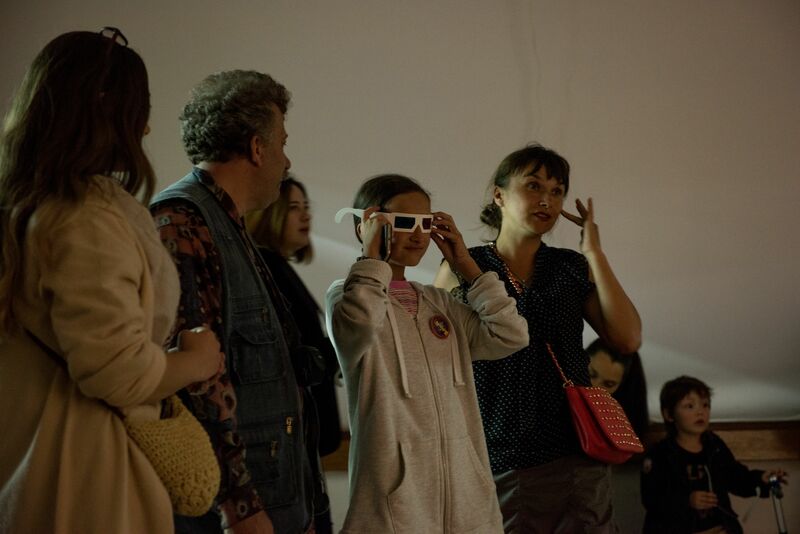 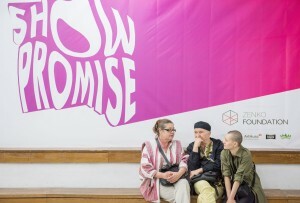 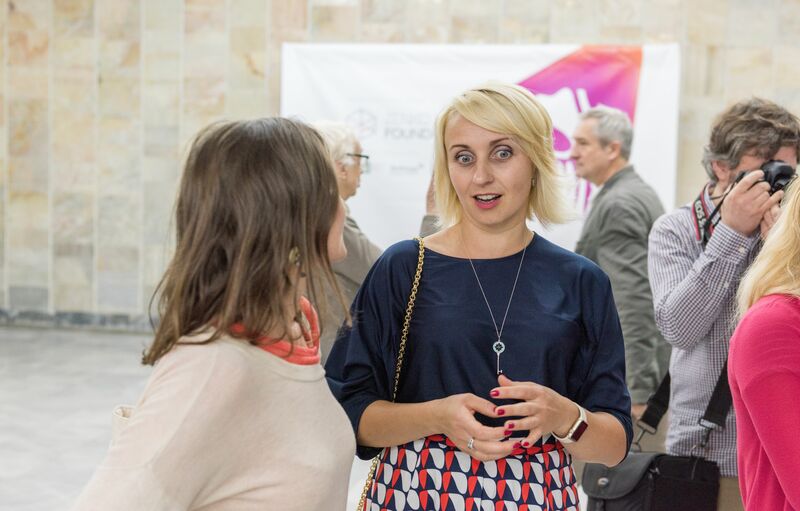 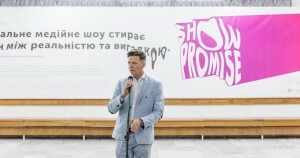 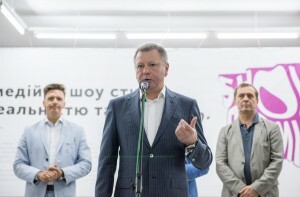 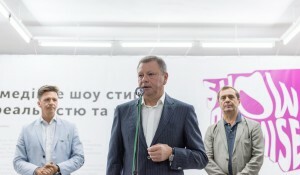 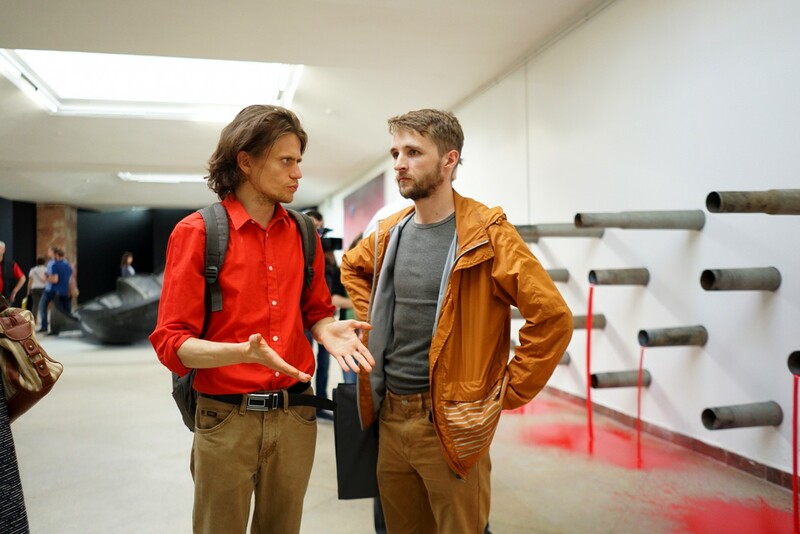 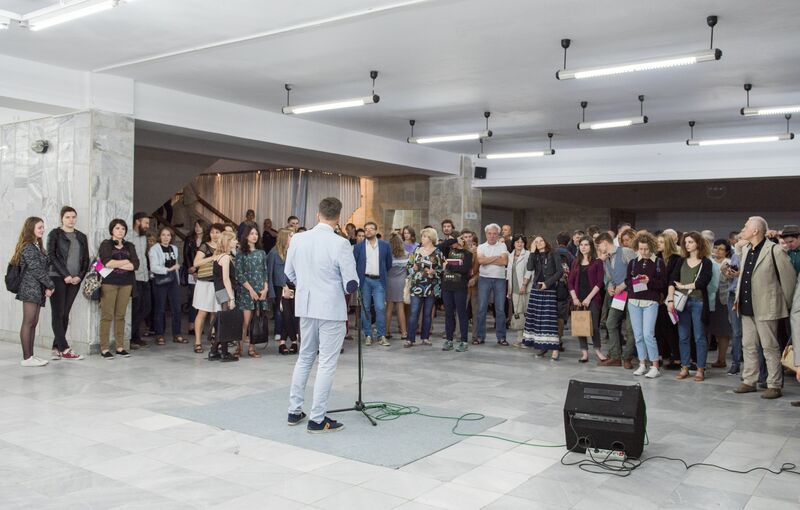 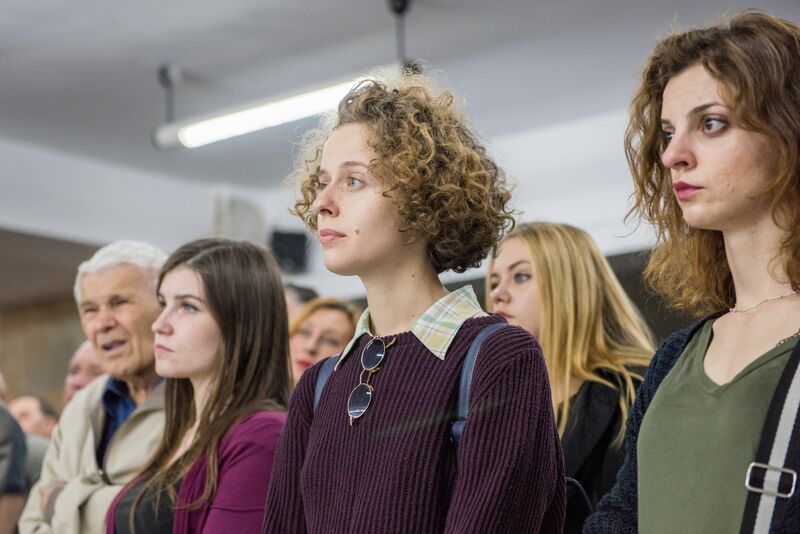 The curator Oleksandr Soloviov and I had a purpose to make everything simple: we came up with the concept of the name “Show Promise”, so that the artists could show what is happening in the modern world,” - Igor Abramovych said during the opening of the project. 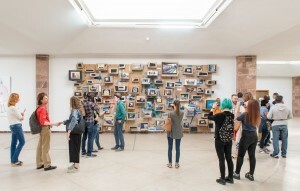 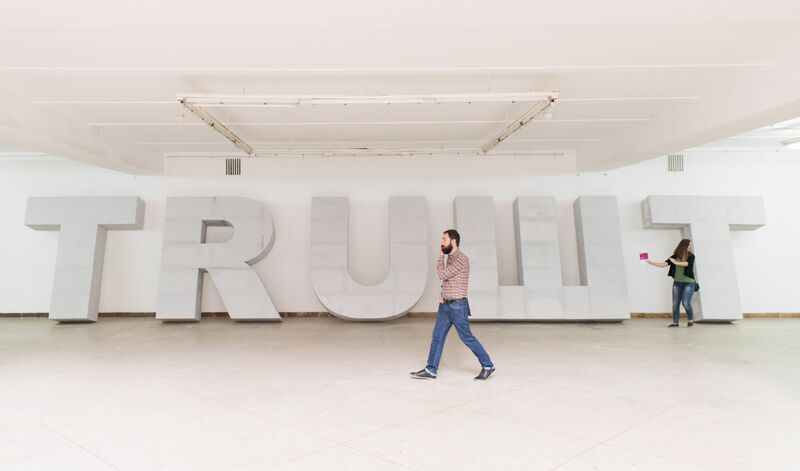 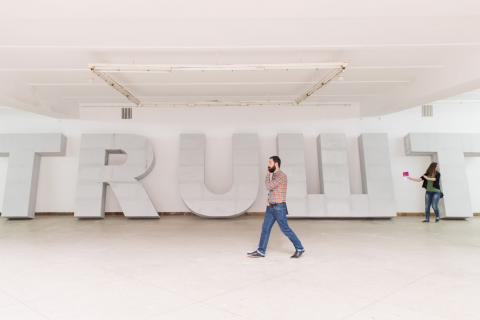 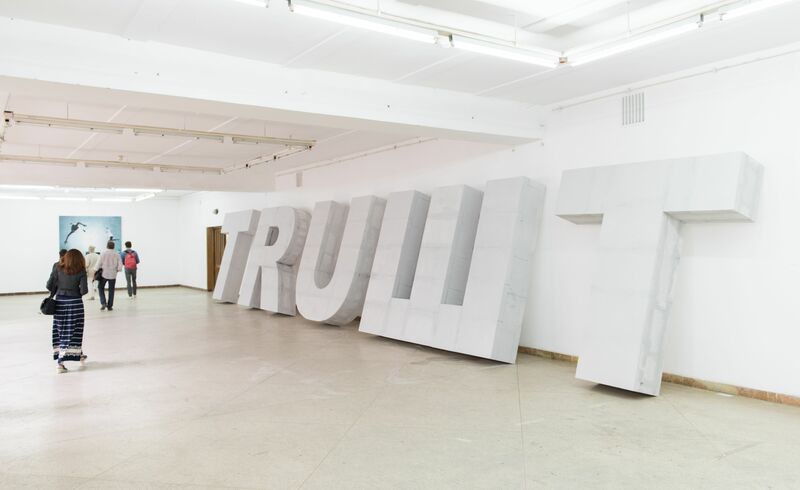 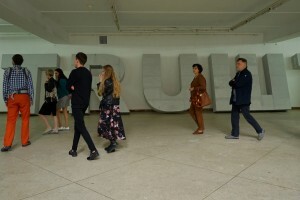 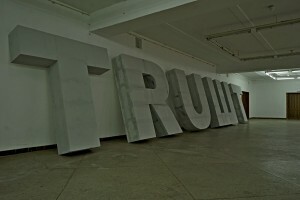 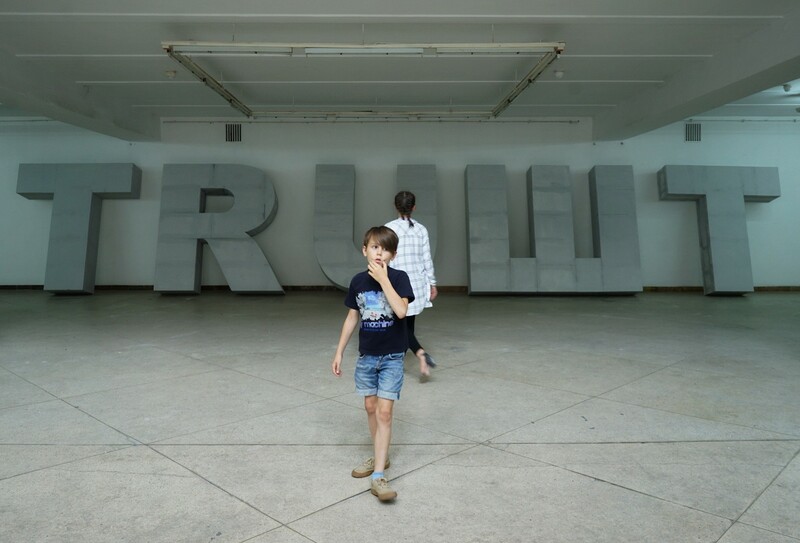 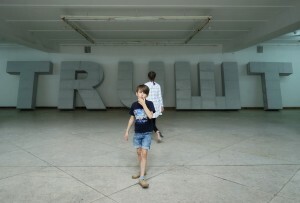 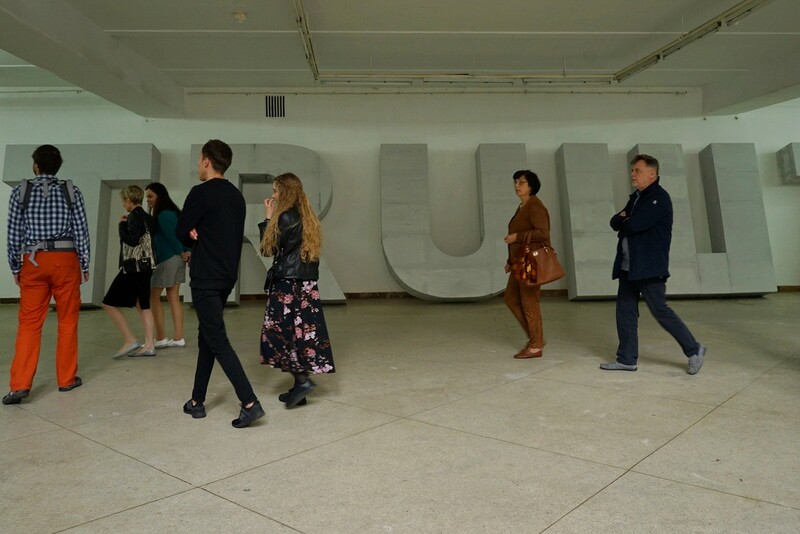 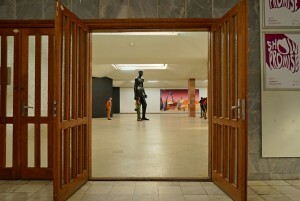 Directly at the entrance to the exhibition, just on the ground floor spectators are greeted by gigantic letters up to 3 meters high, that make a word “TRUSHT”. 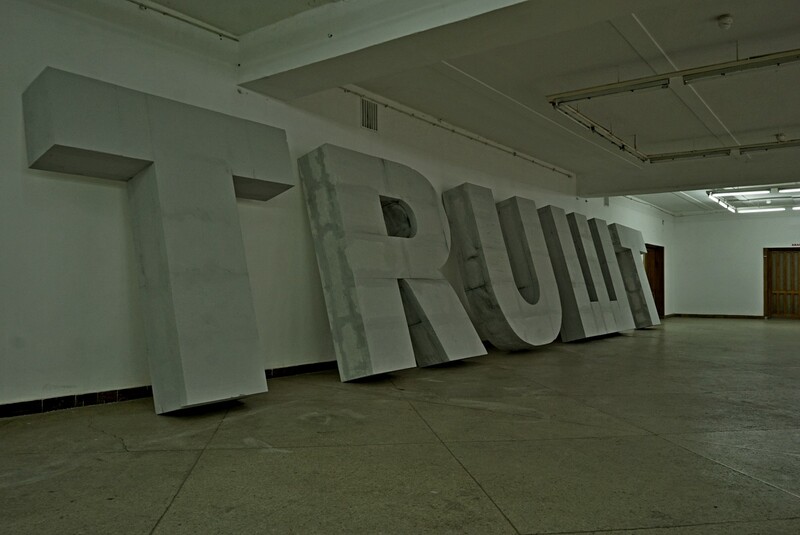 Interesting is the composition of Robert Saller from Transcarpathia, made, at first sight, of concrete blocks, but in fact - of foam plastic. 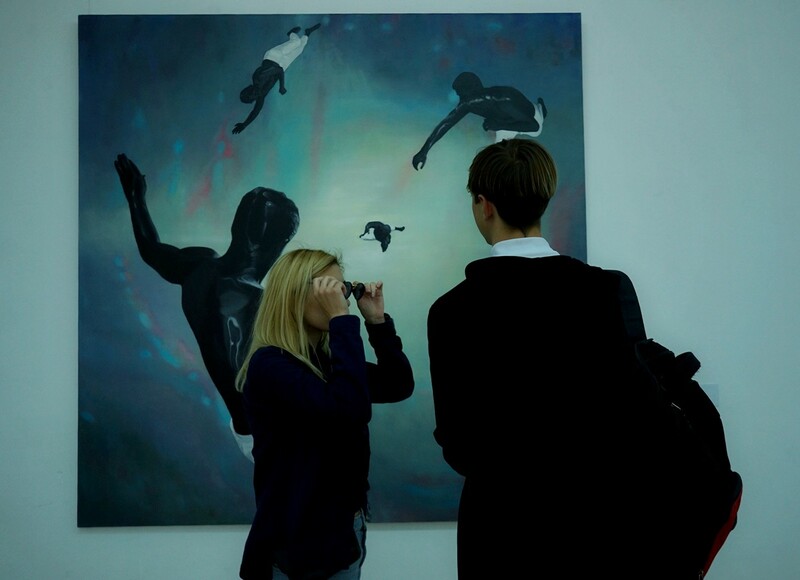 “This is an allegory of trust as a concept of relations between people. 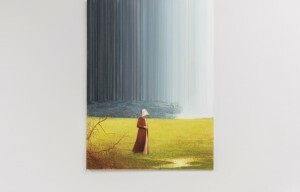 With my work I wanted to show that trust in the current society means almost nothing, everything is questioned, it is just as fake as many things around," - the author commented. 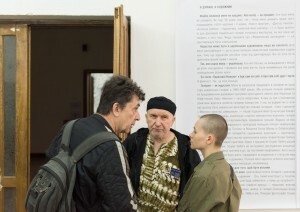 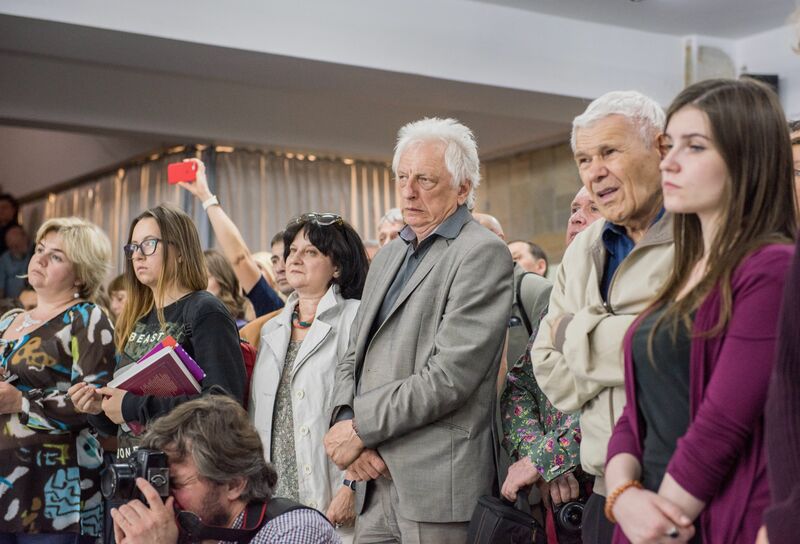 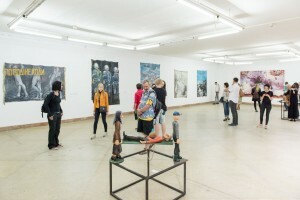 Nazar Bilyk, Oleh Voronko, Pavlo Kerestei, Anatolii Hankevych, Ihor Husiev, Yurii Yefanov, Hamlet Zinkovskyi, Vlodko Kaufman, Alina Klieitman, Robert Saller, Yuliia Kysil, Rostyslav Koterlin, Anton Lohov, Oleksa Mann, Roman Minin, Borys Mykhailov, Roman Mykhailov, Natsprom (Oleh Tistol and Mykola Matsenko), Serhii Petliuk, Vlad Ralko, Vinni Reunov, Oleksandr Roitburd, Stepan Riabchenko, Arsen Savadov, Andrii Sahaidakovskyi, Oleksii Sai, Yevhen Samborskyi, Andrii Sydorenko, Viktor Sydorenko, Oleksa Furdiiak, Vasyl Tsaholov, Mykyta Shalenyi, Alina Yakubenko, group GAZ presented their works in Show Promise.